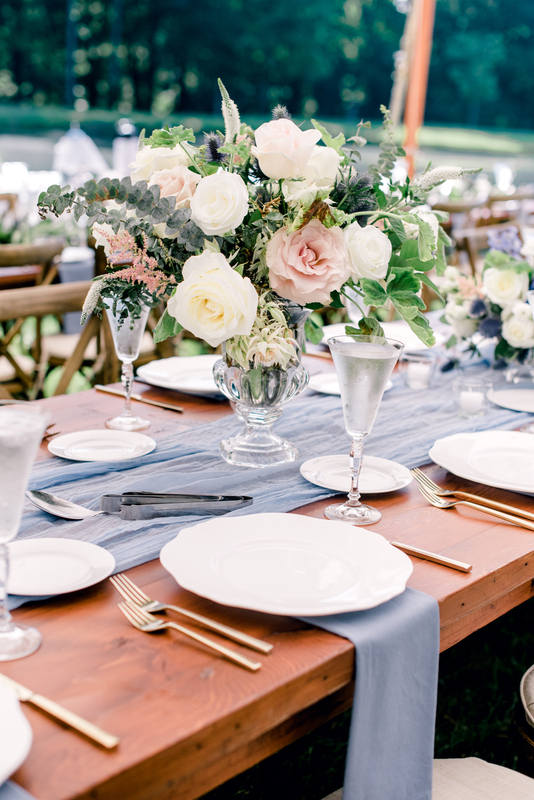 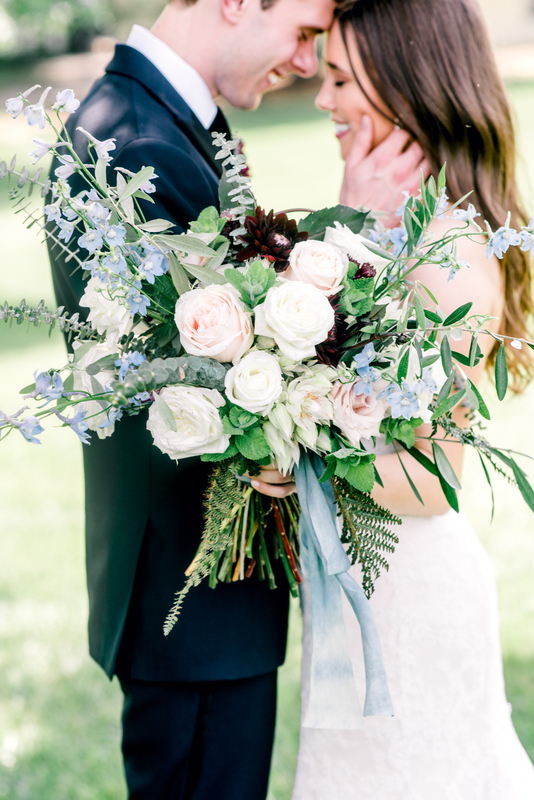 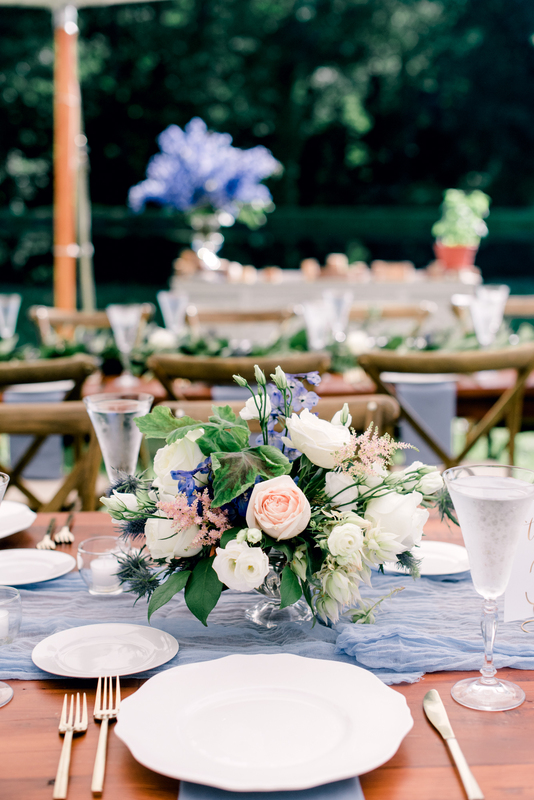 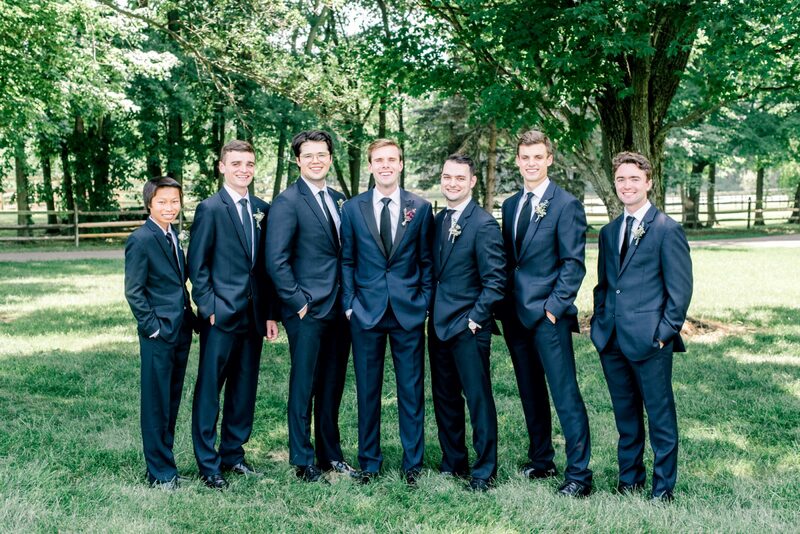 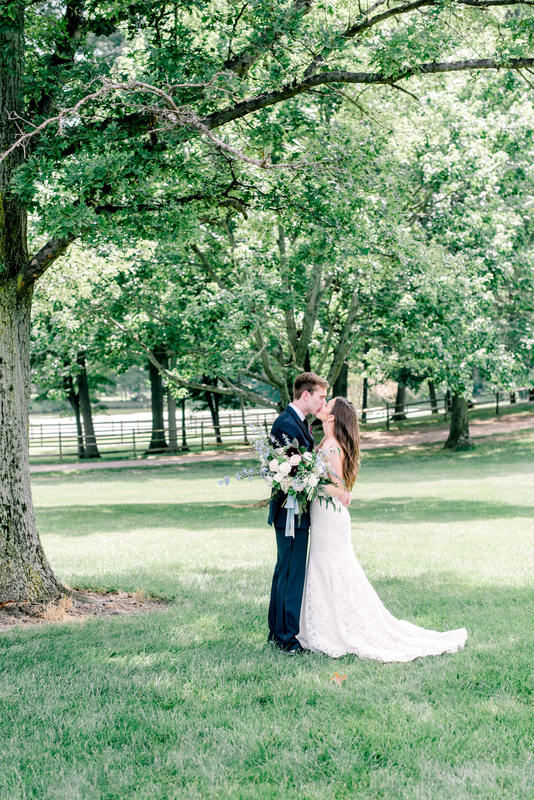 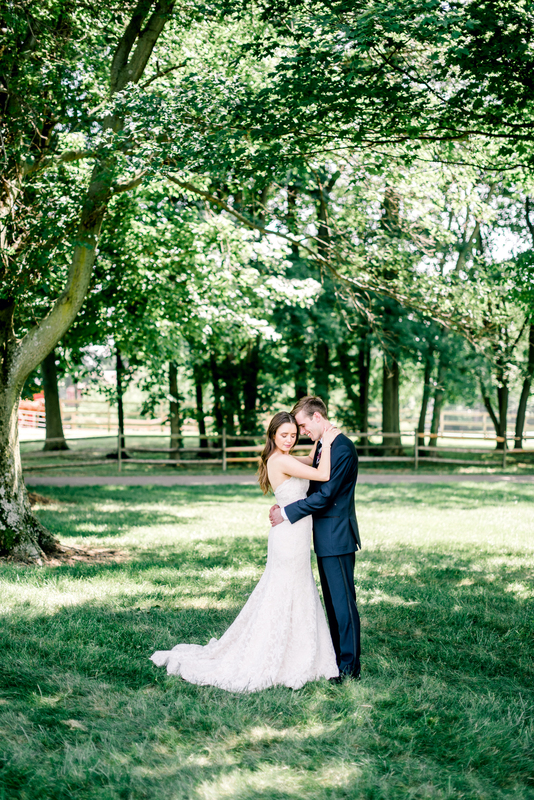 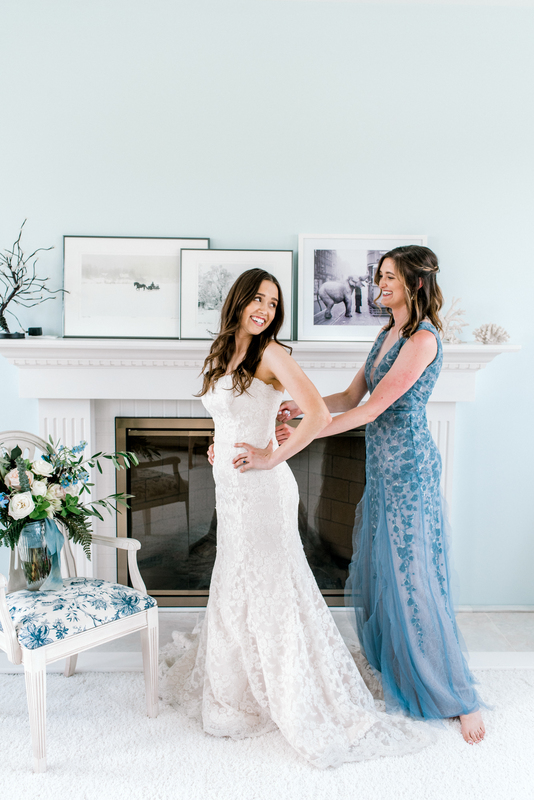 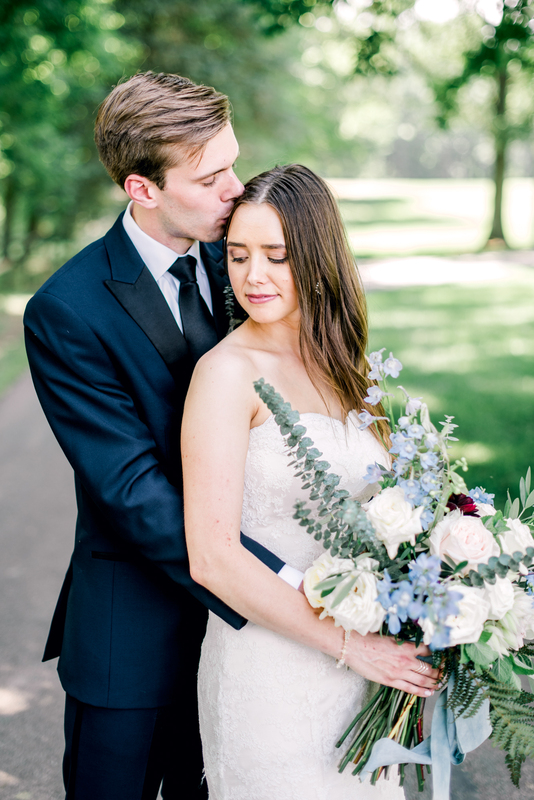 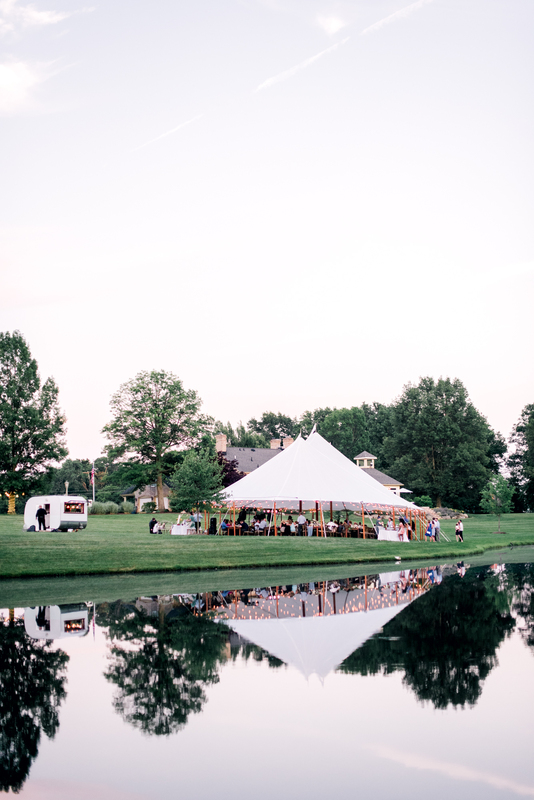 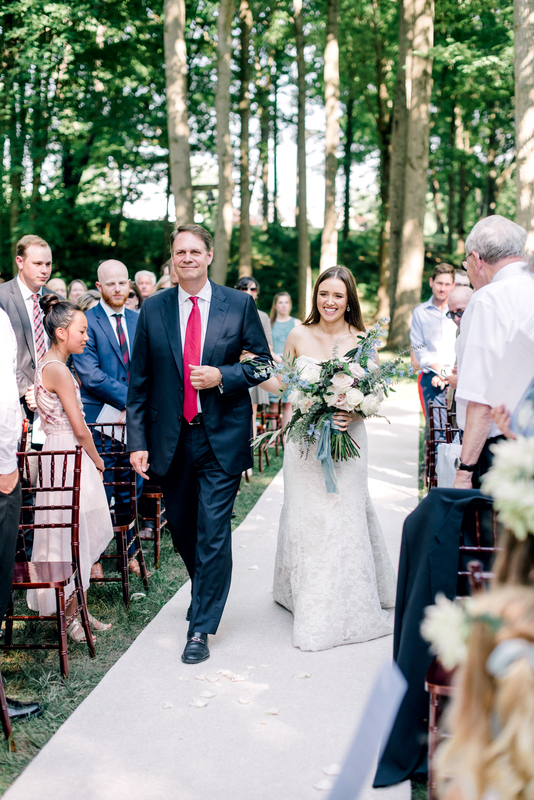 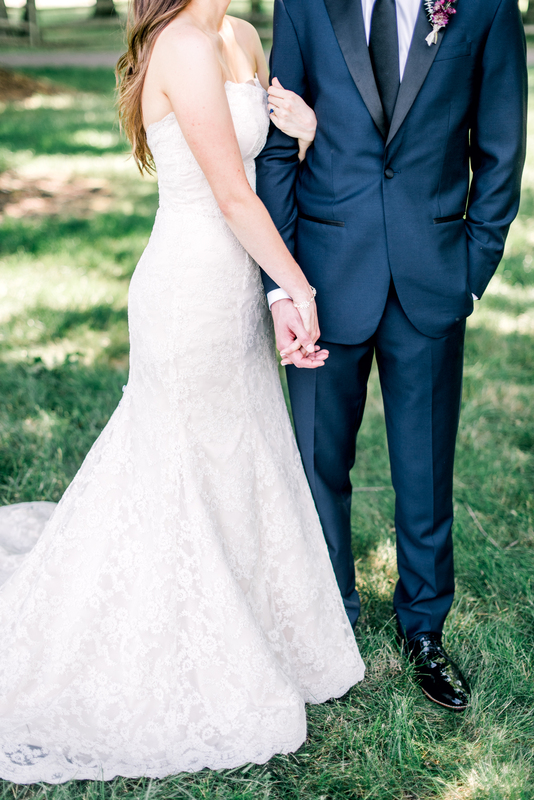 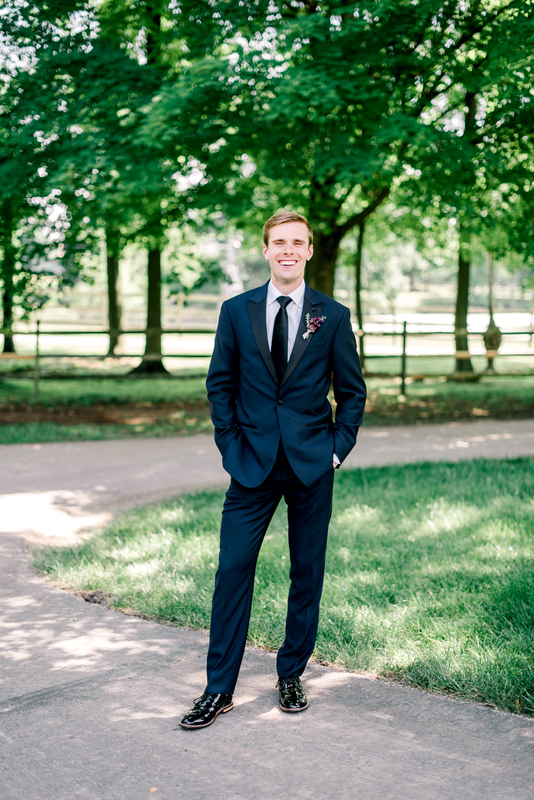 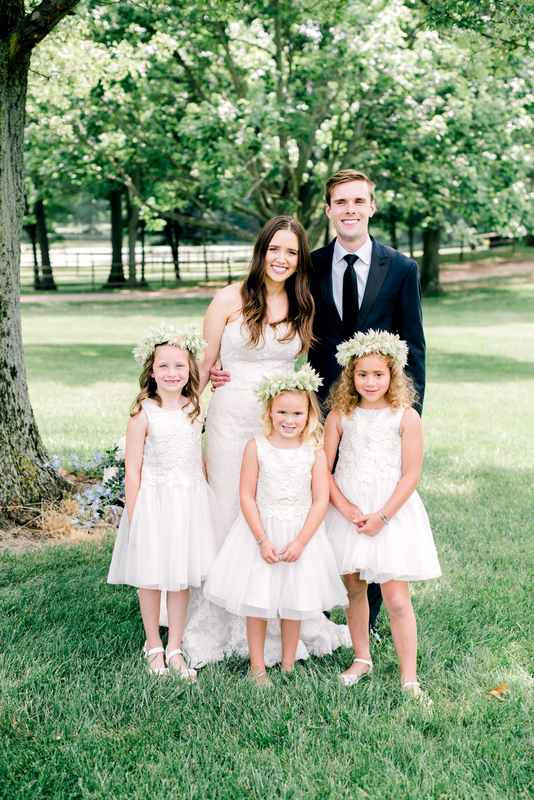 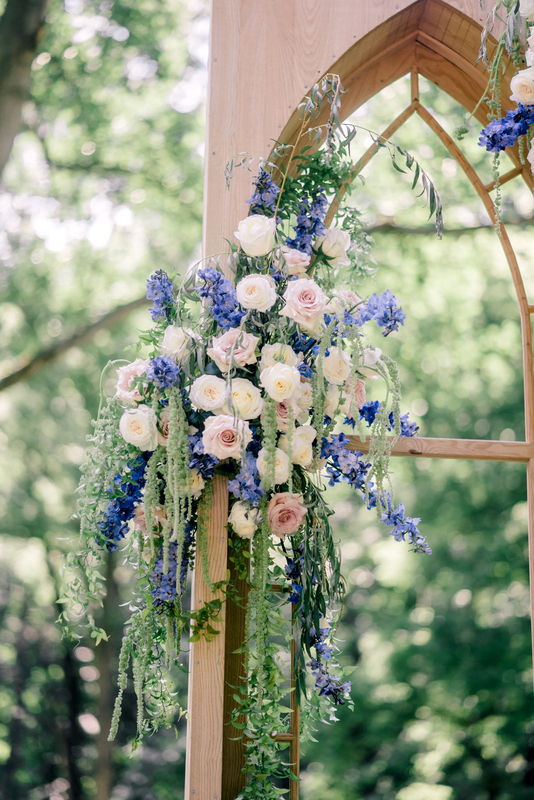 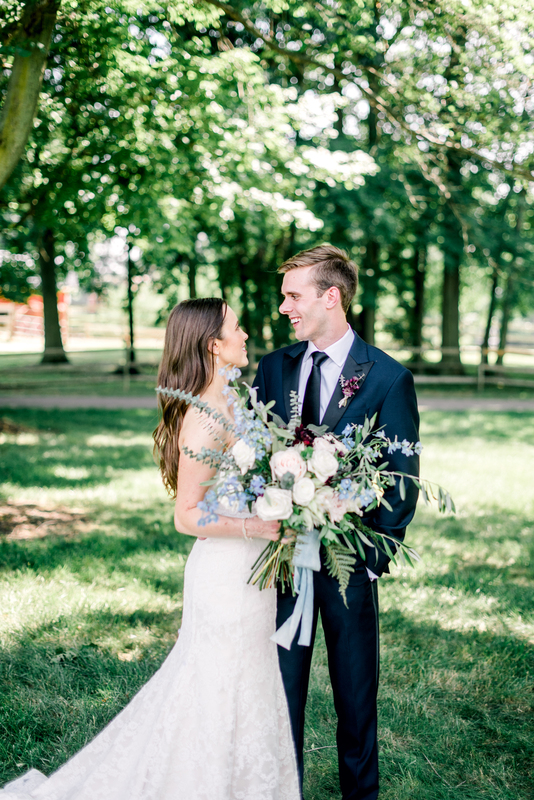 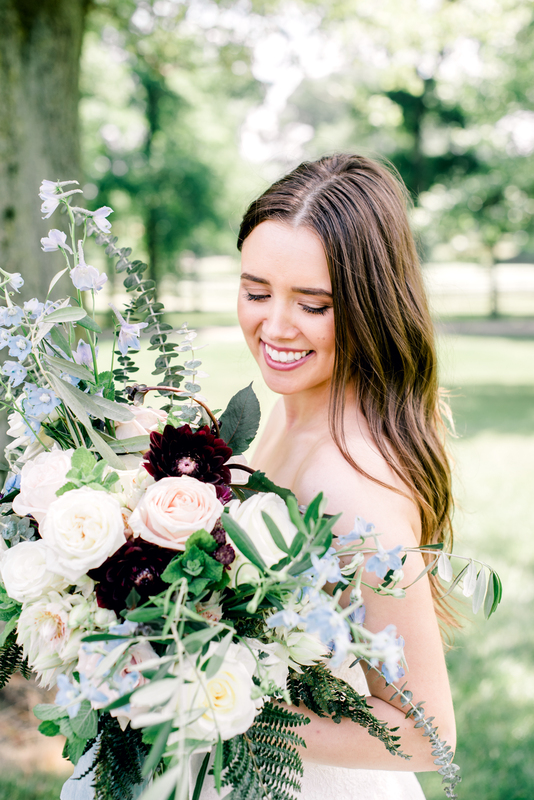 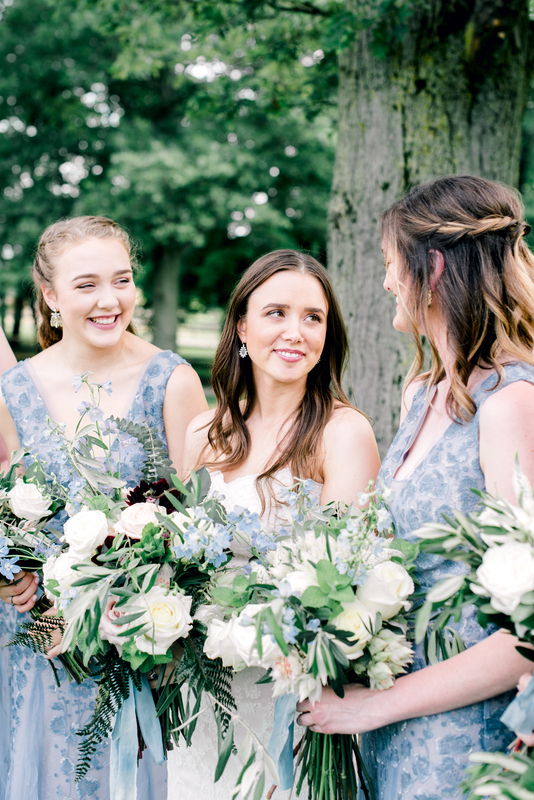 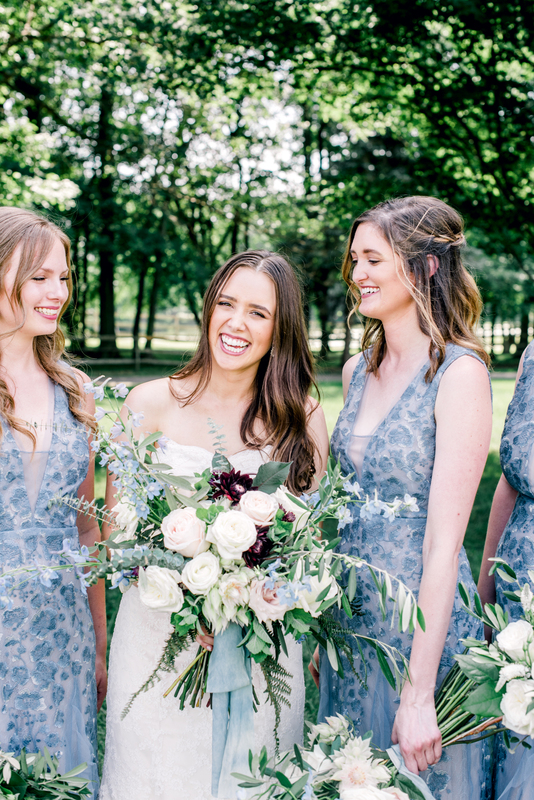 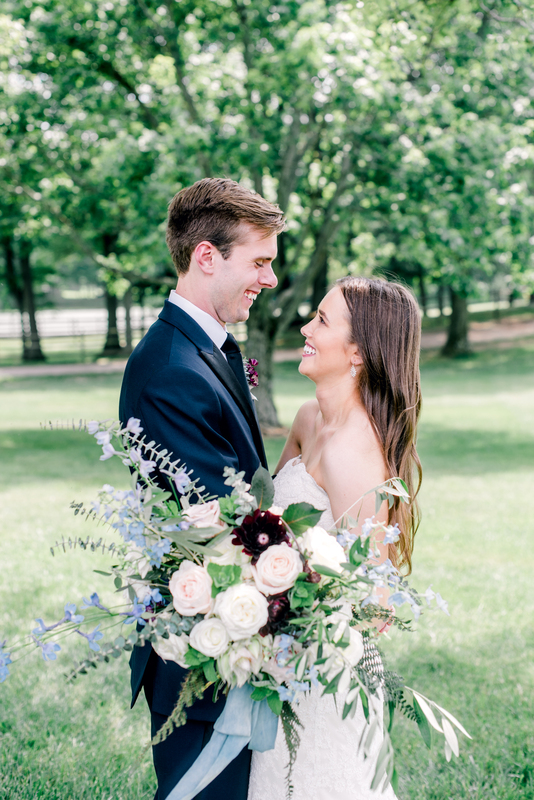 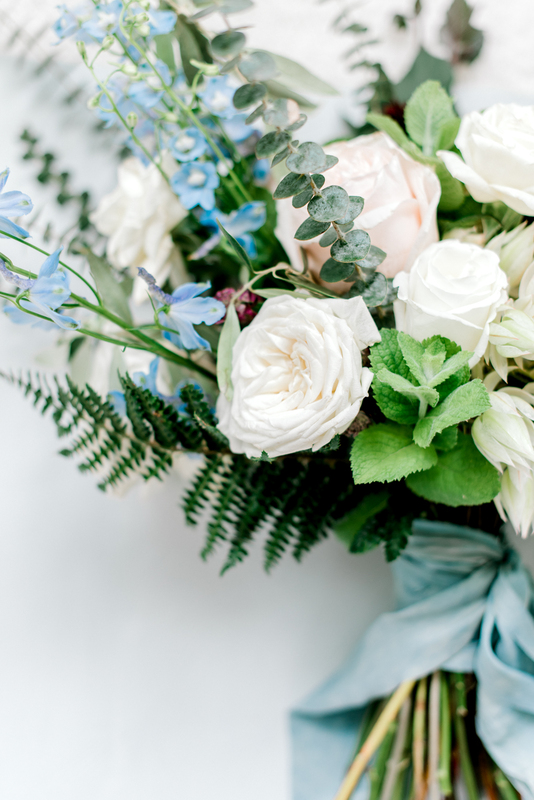 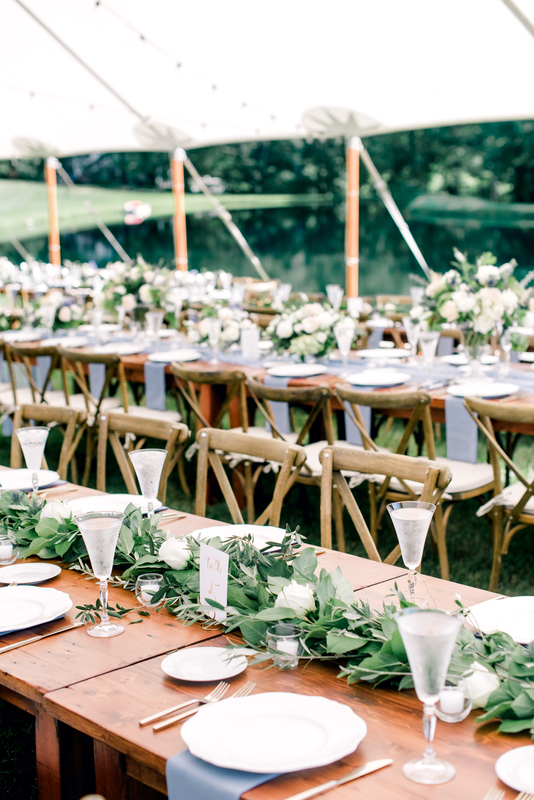 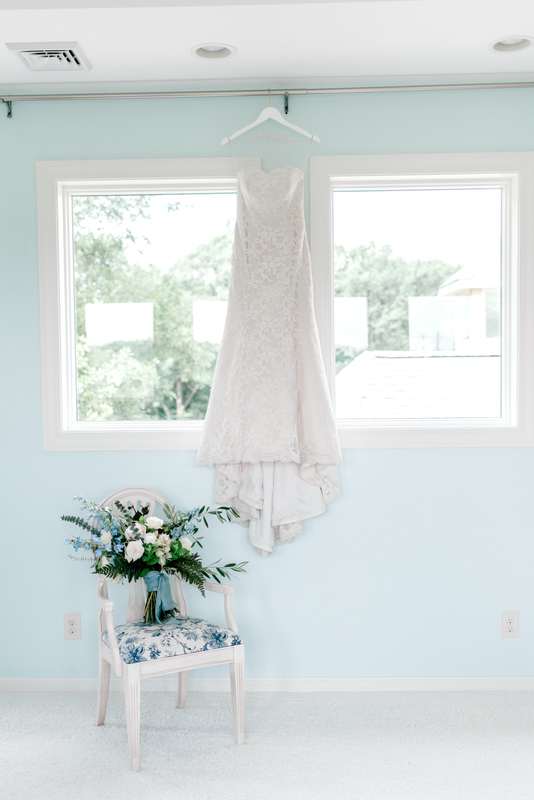 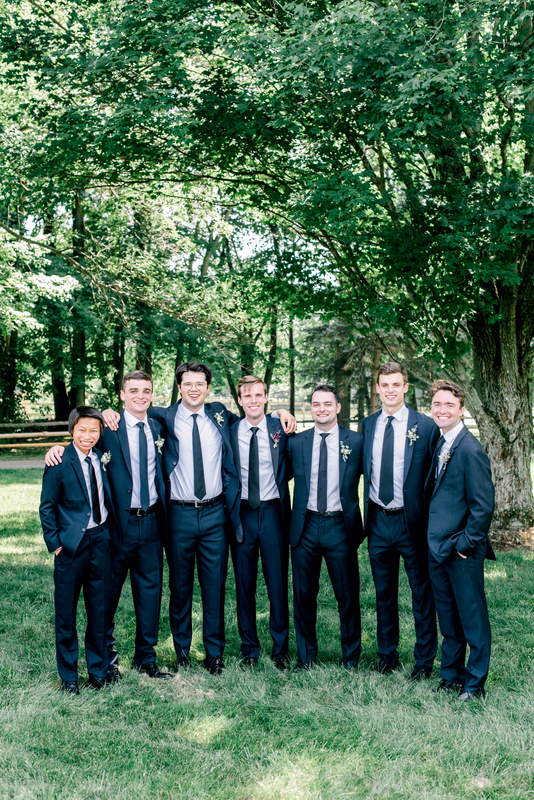 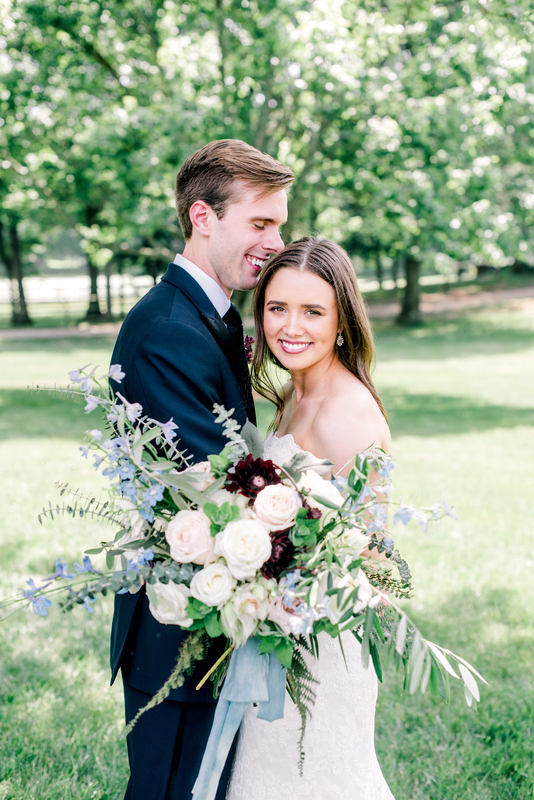 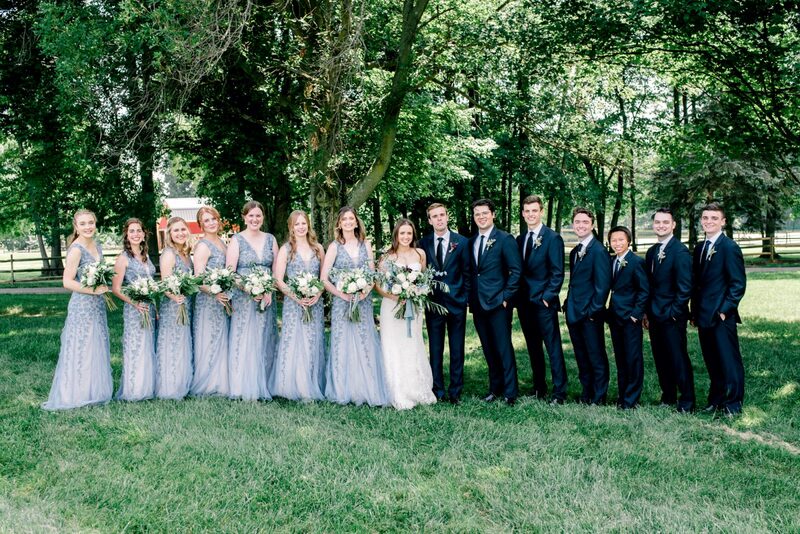 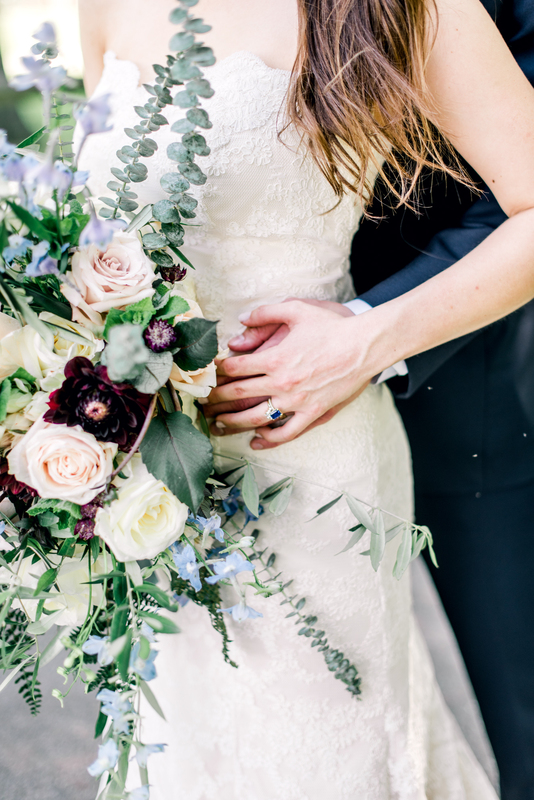 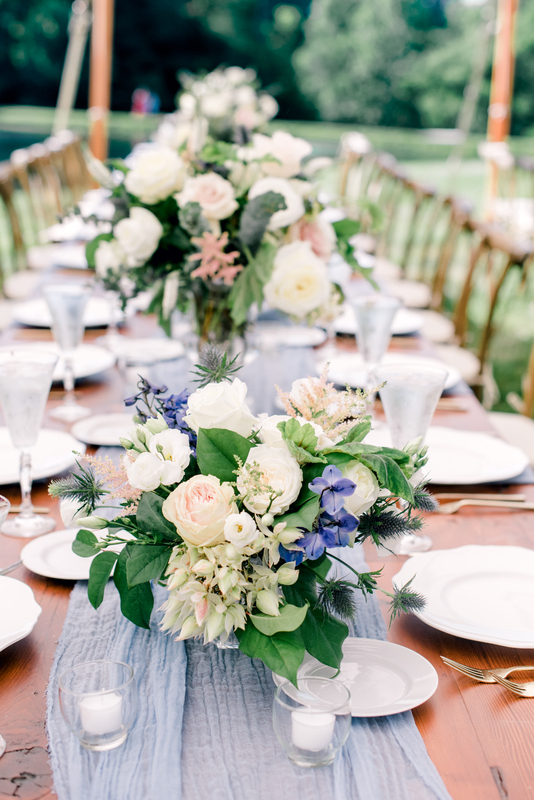 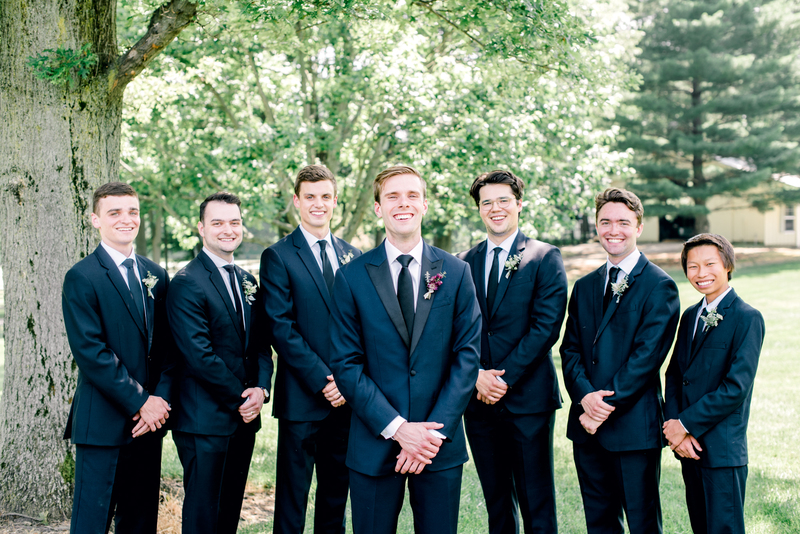 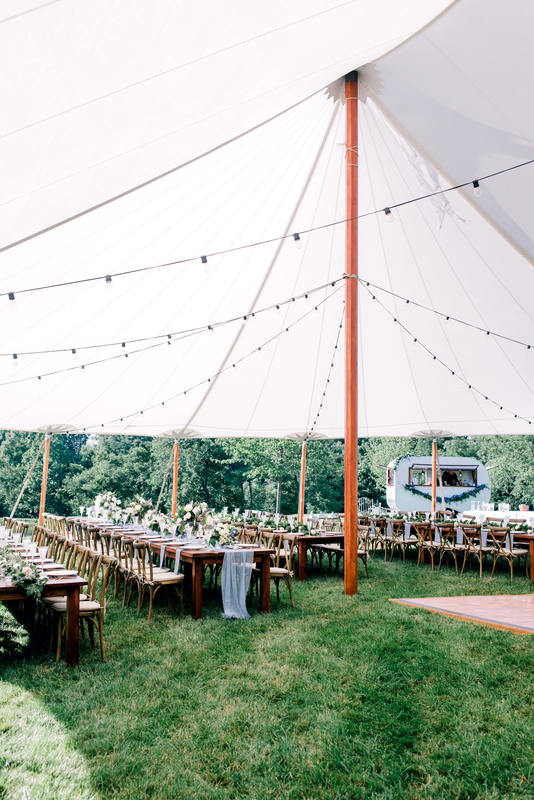 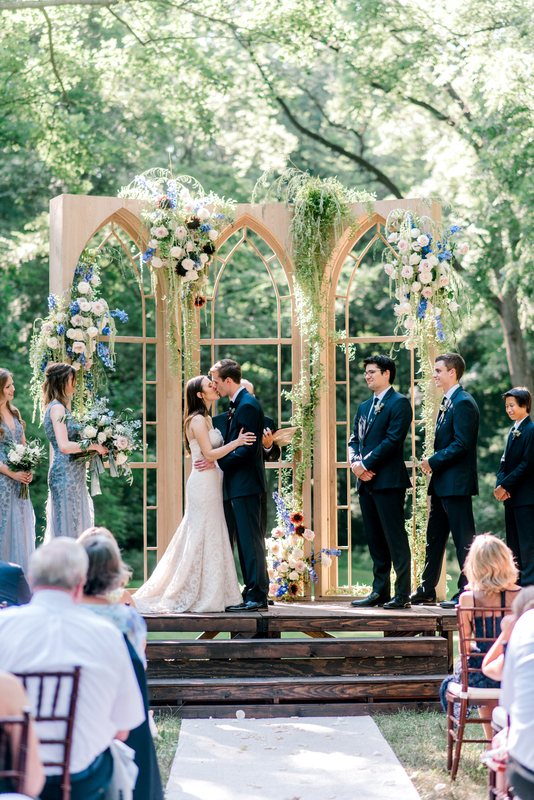 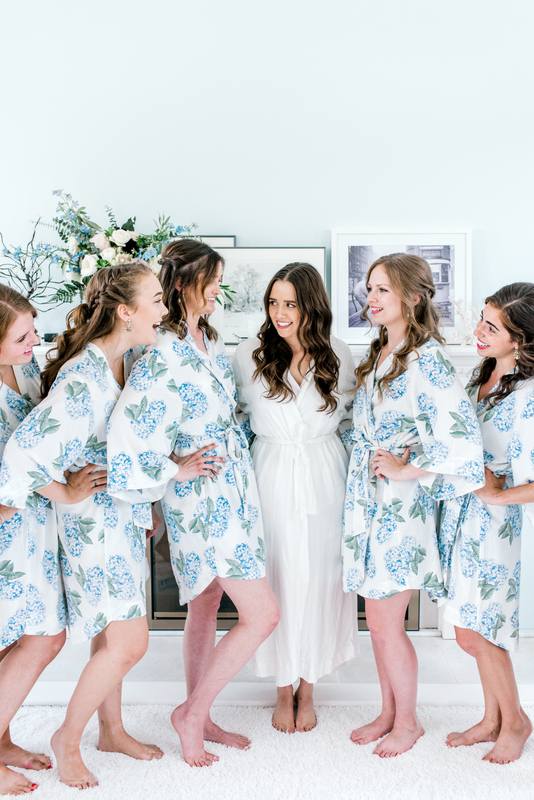 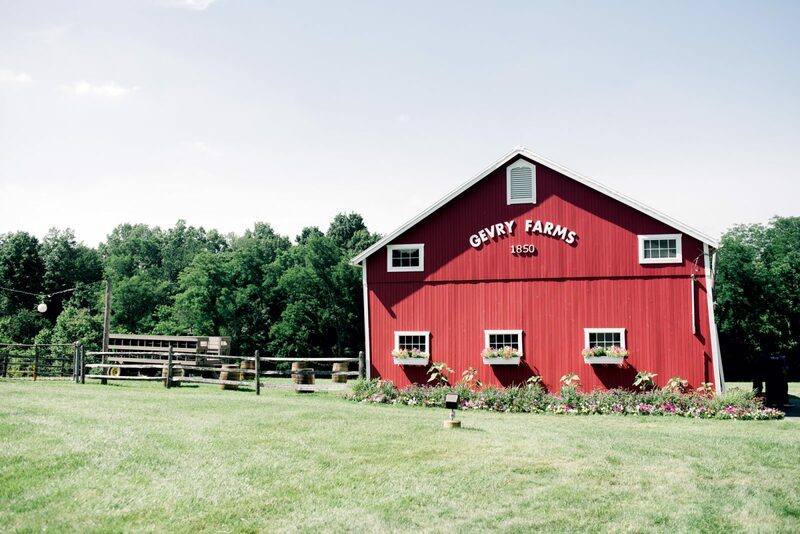 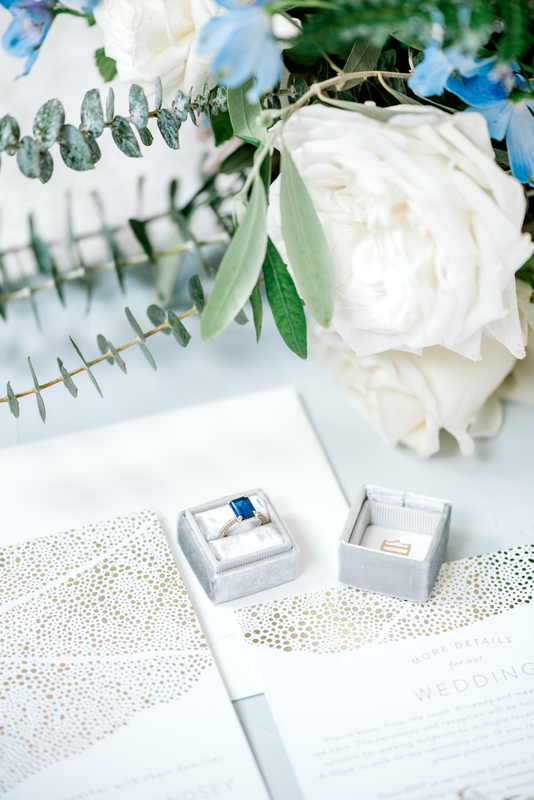 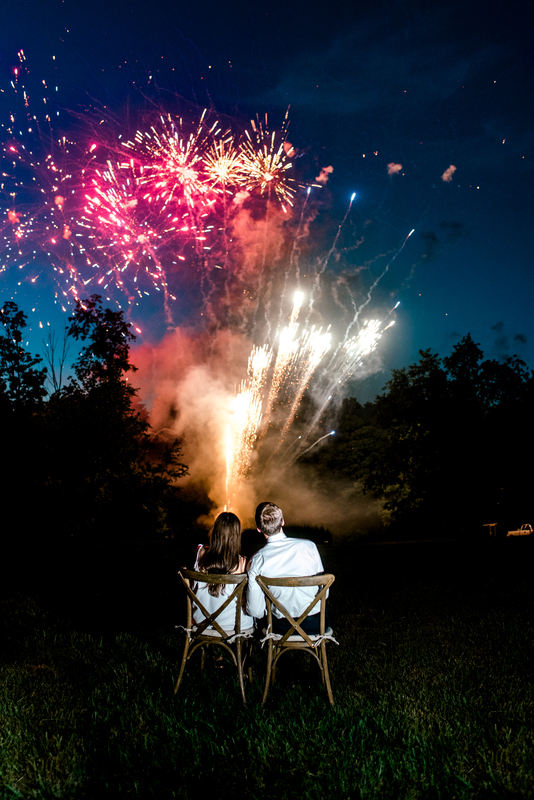 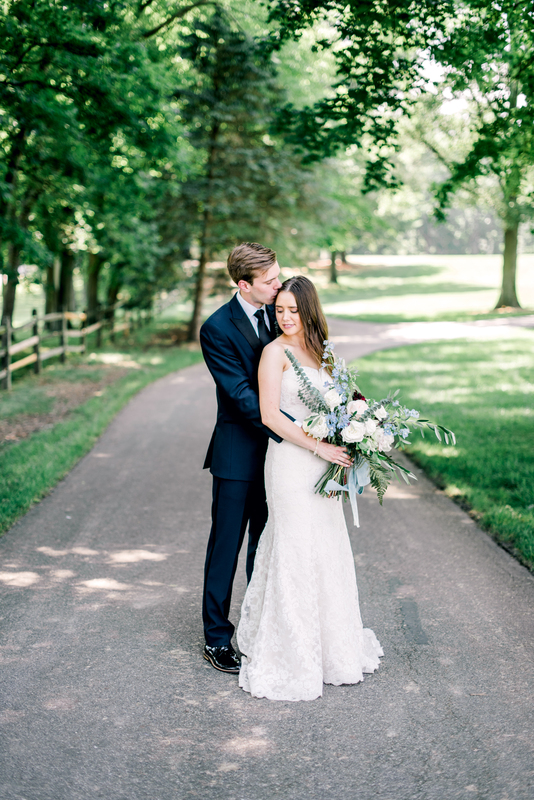 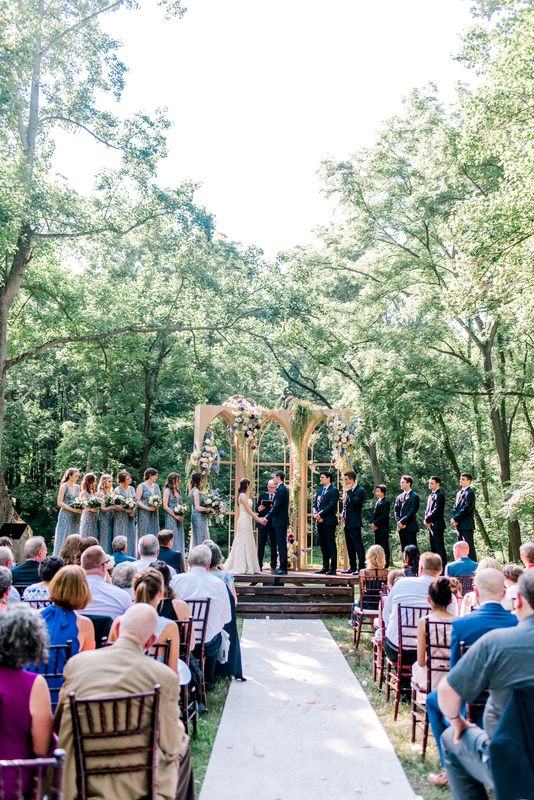 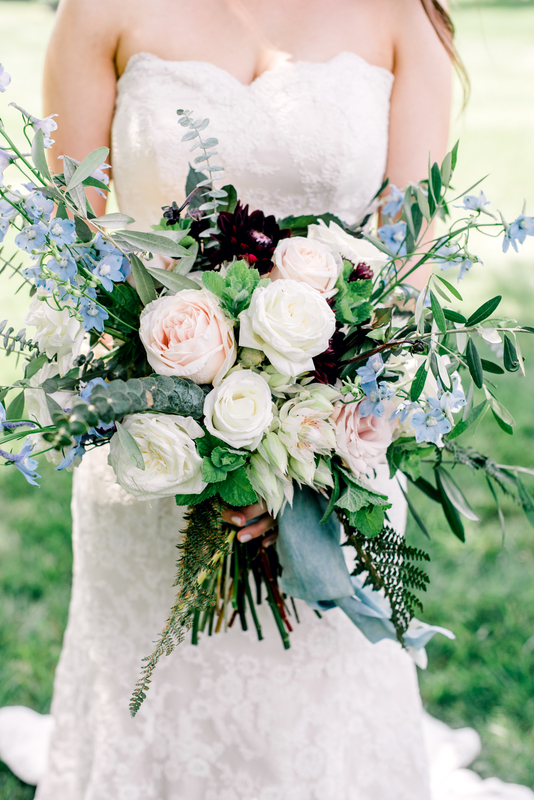 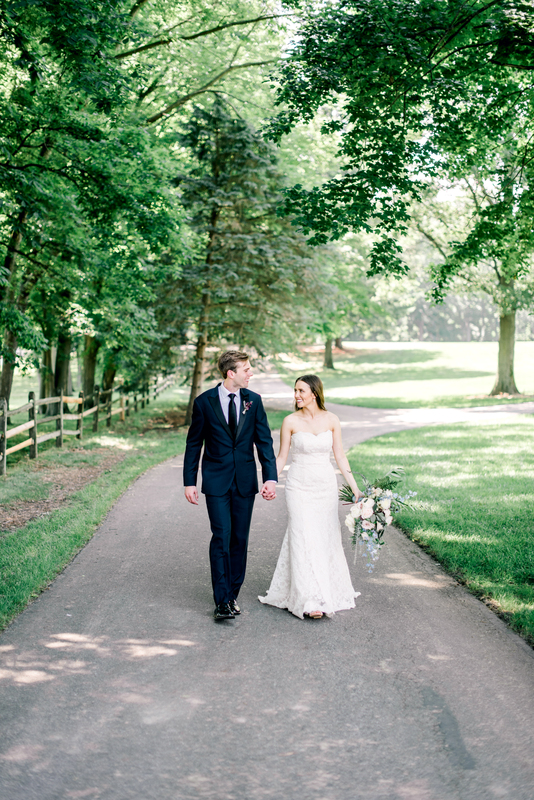 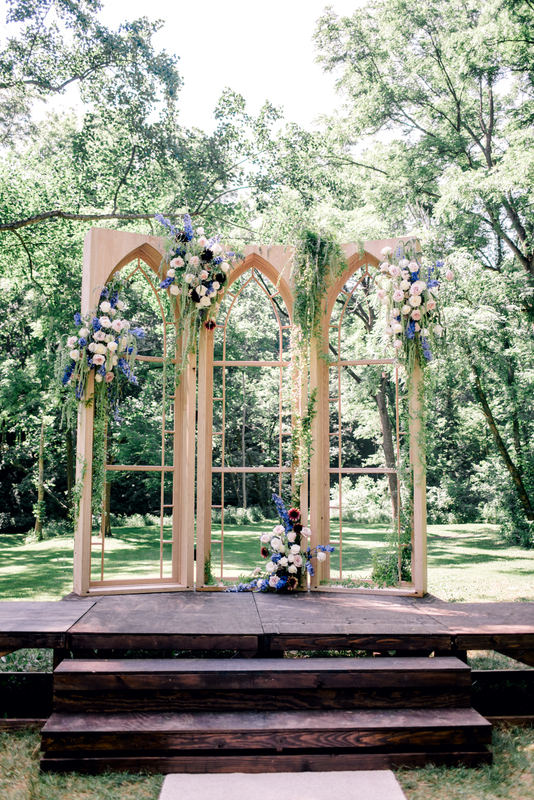 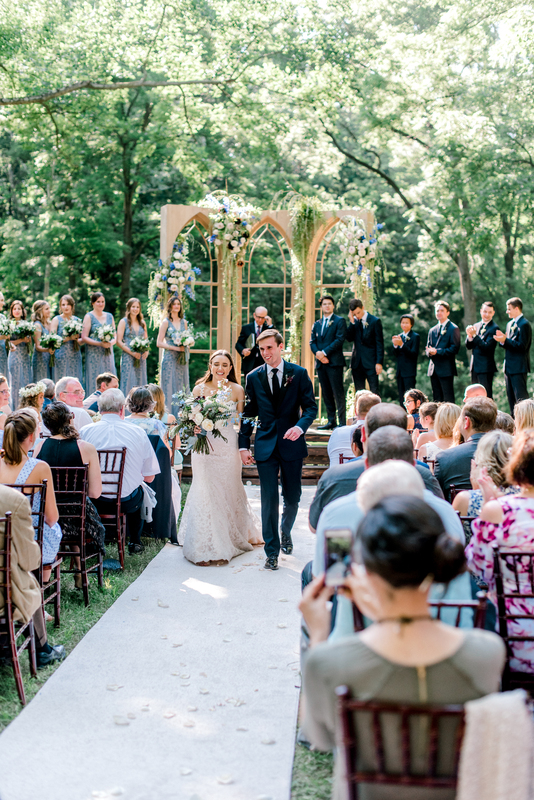 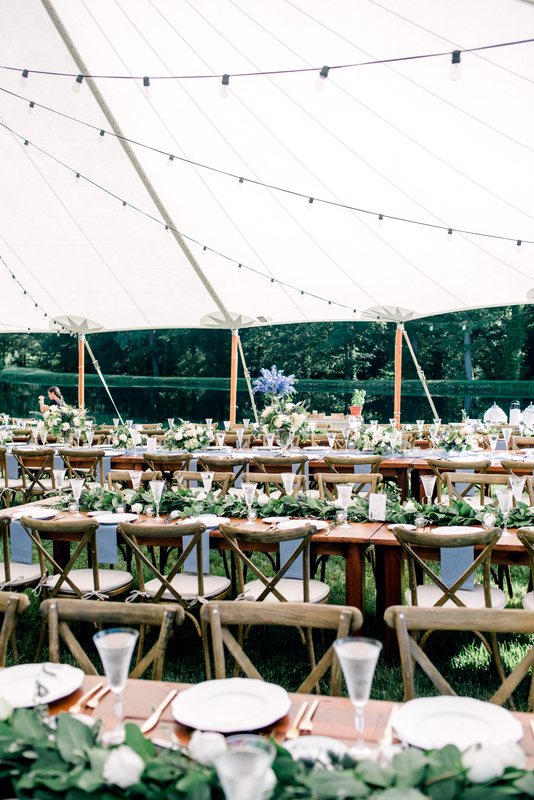 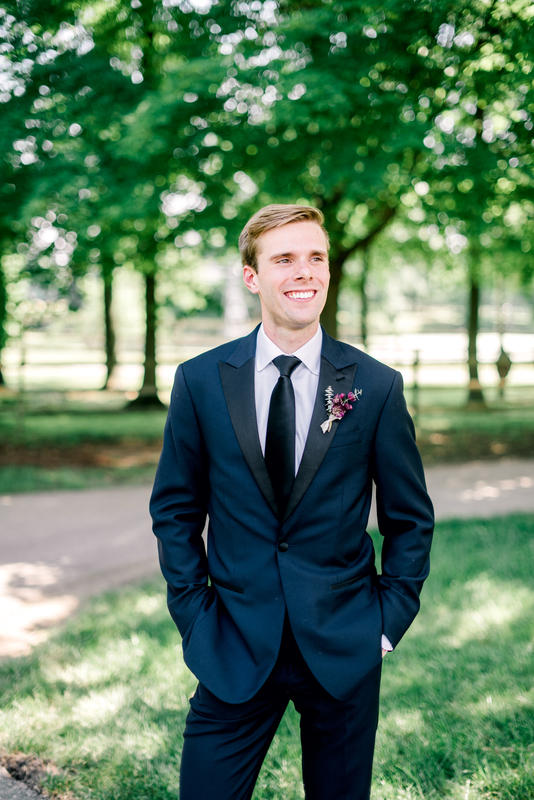 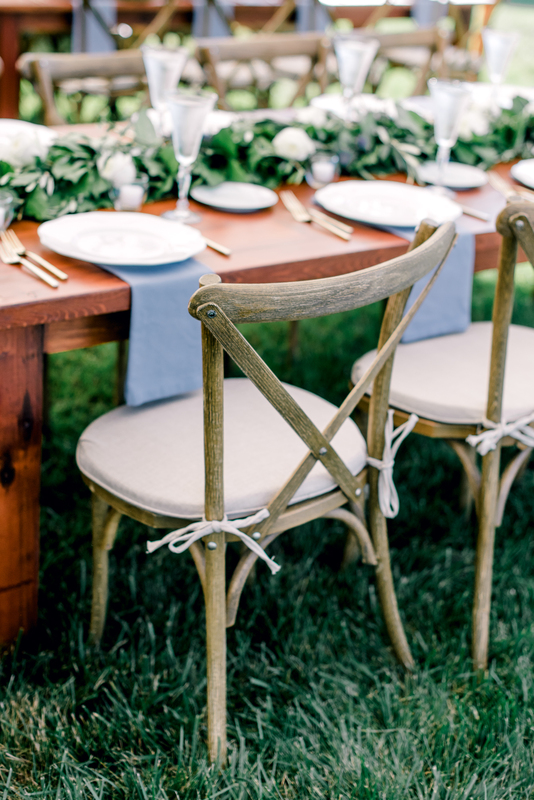 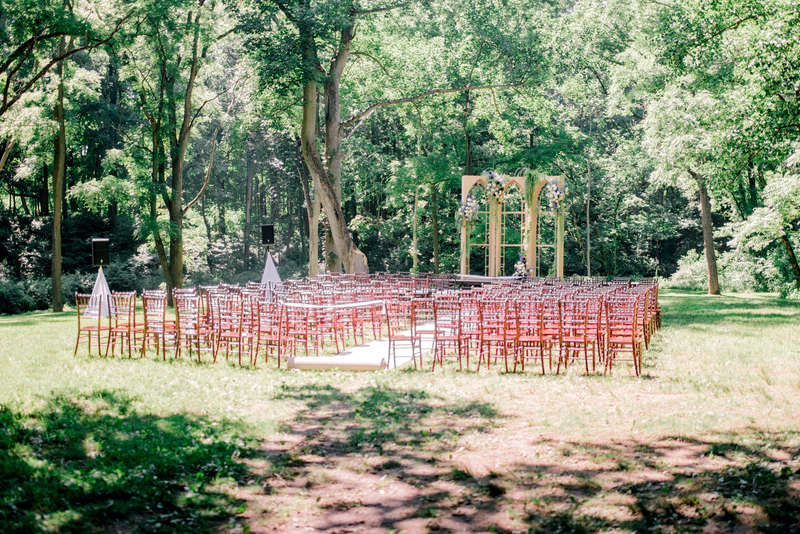 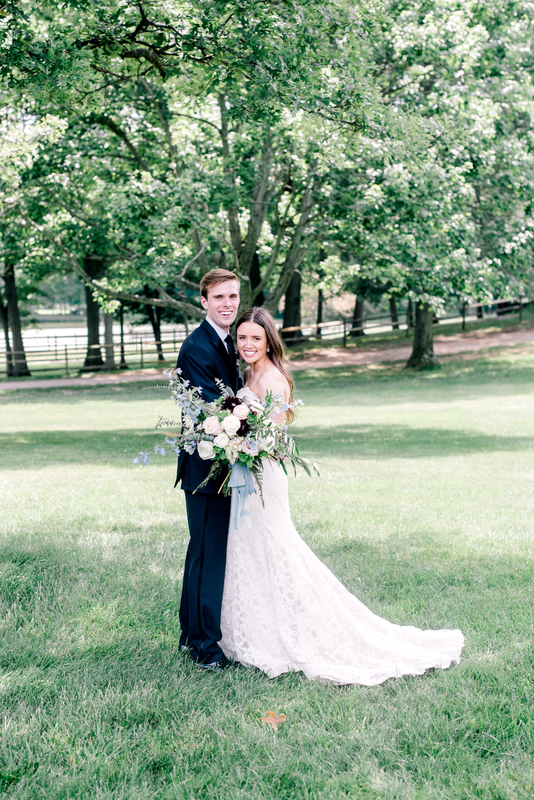 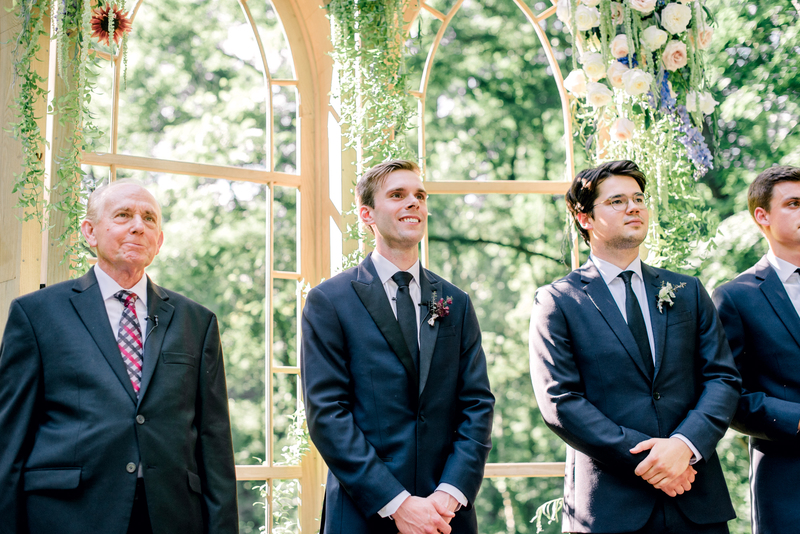 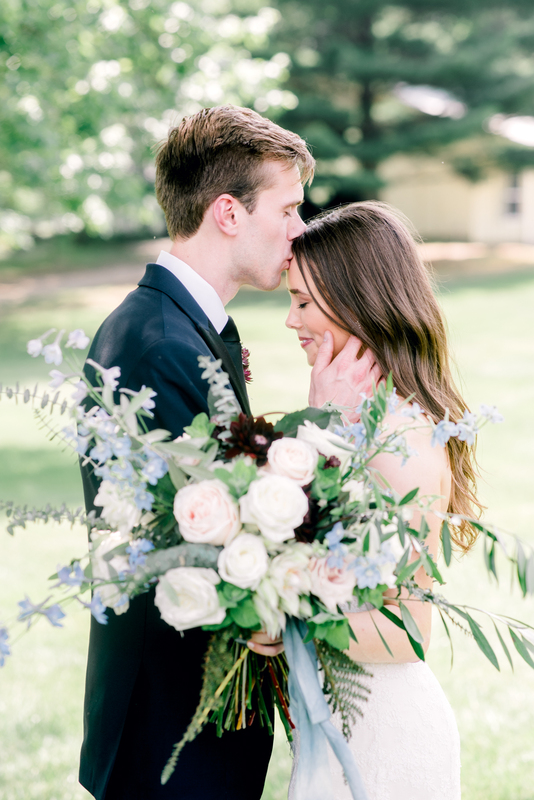 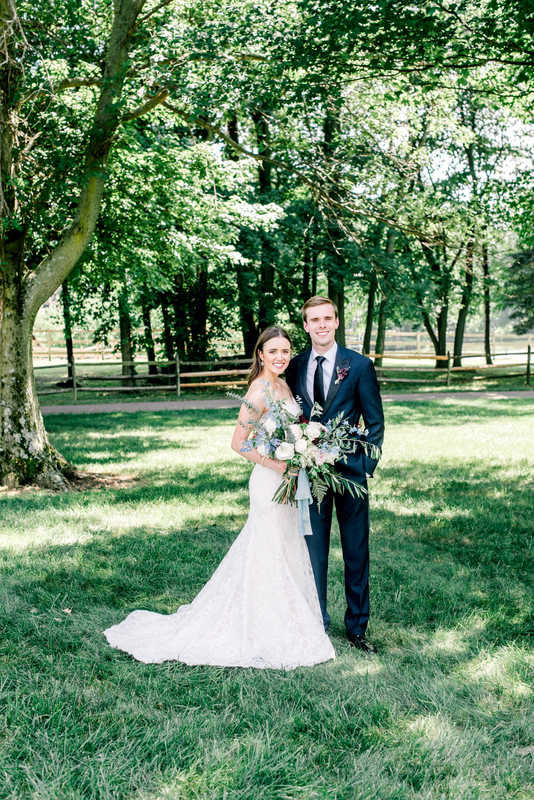 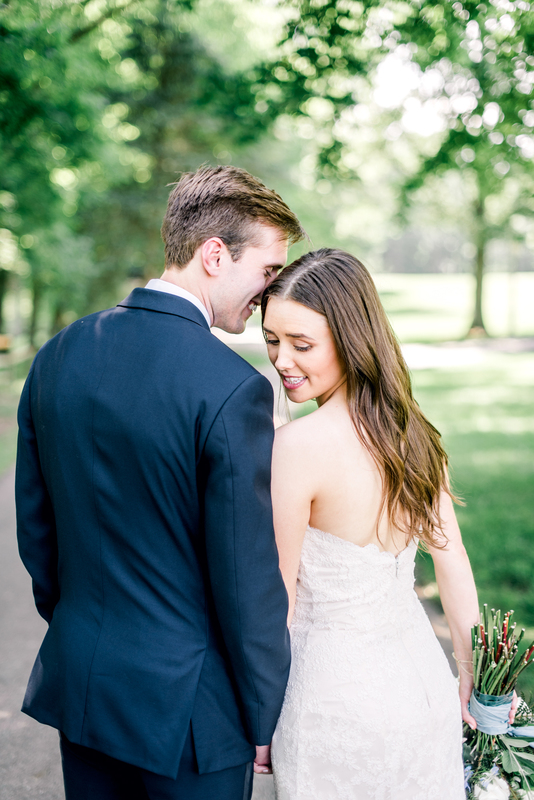 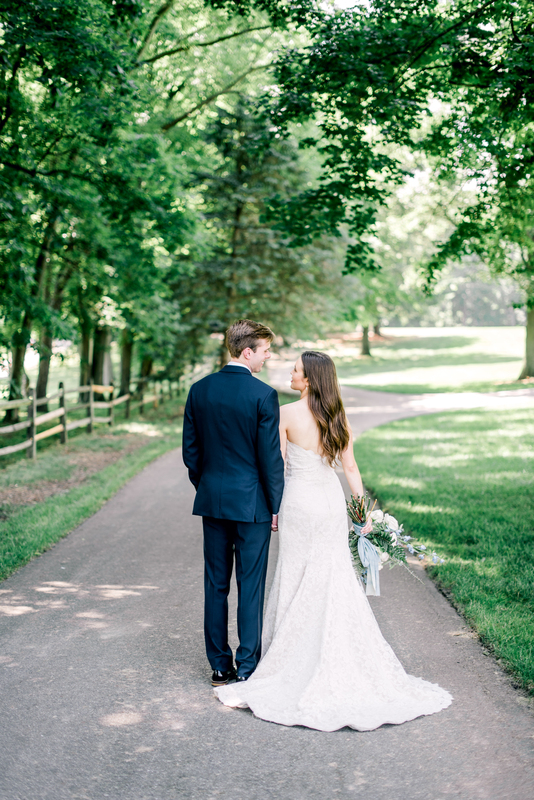 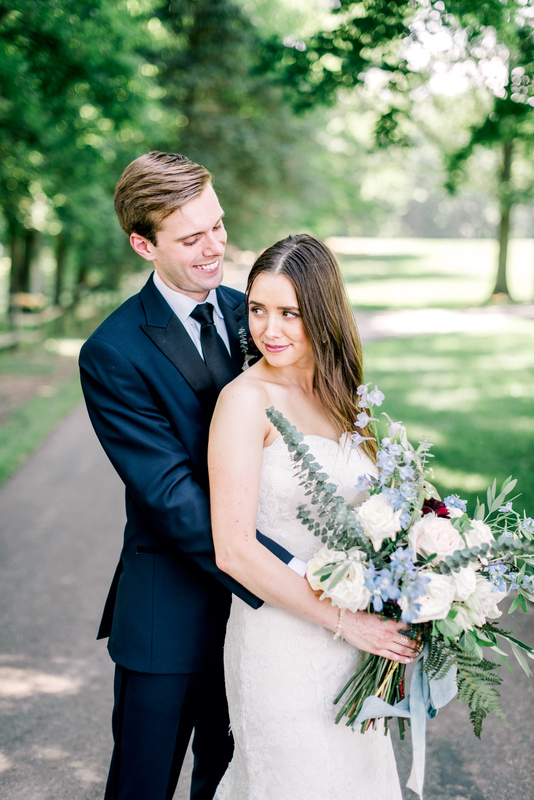 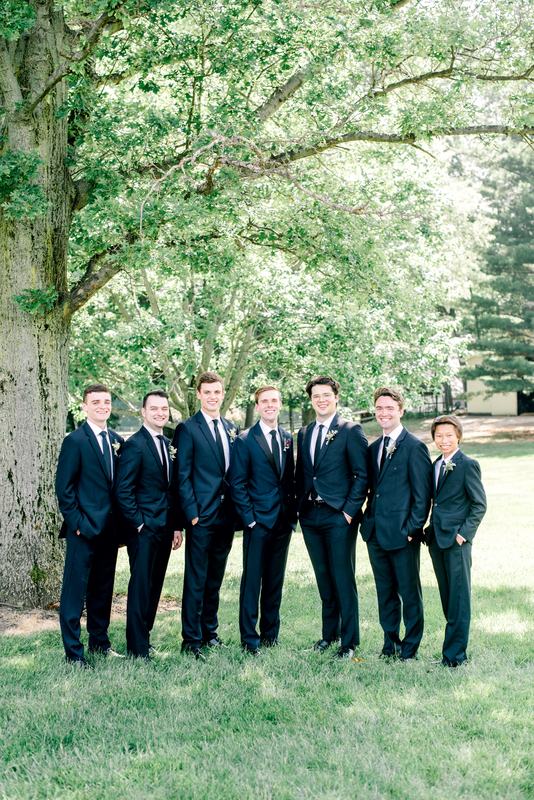 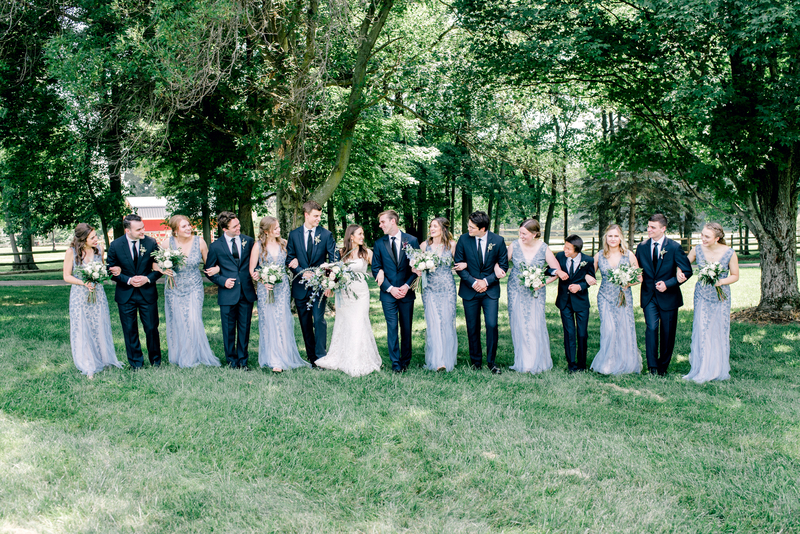 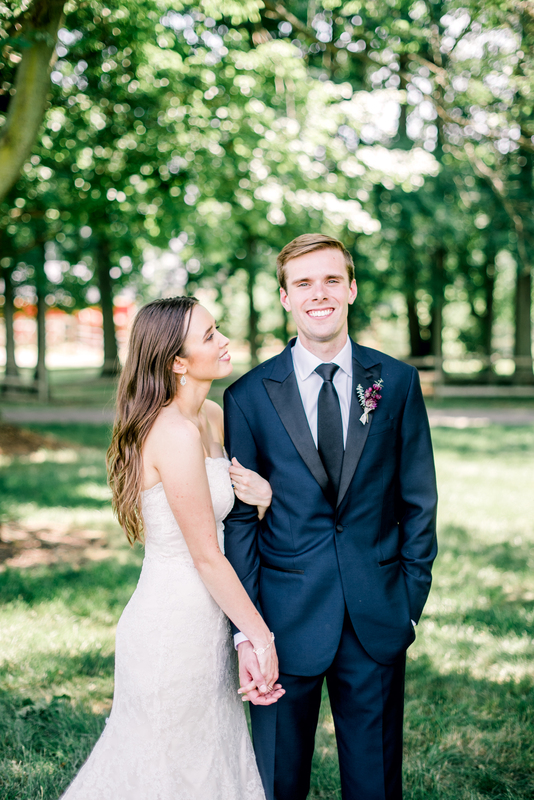 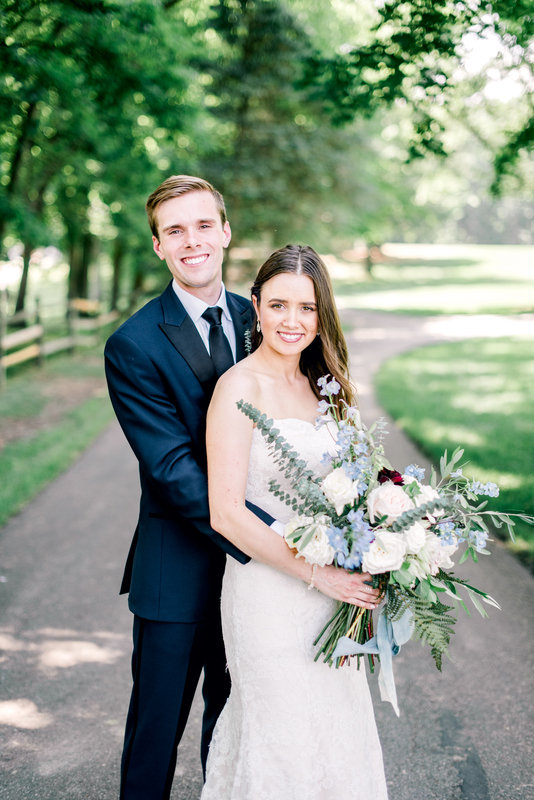 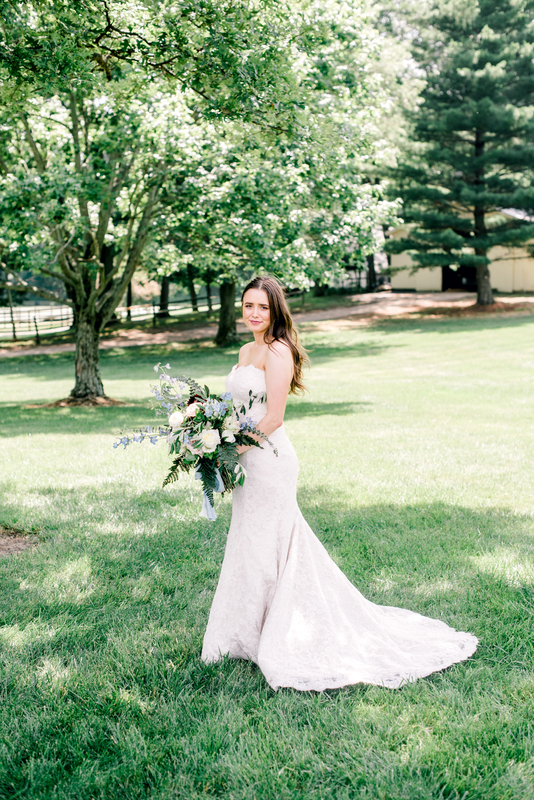 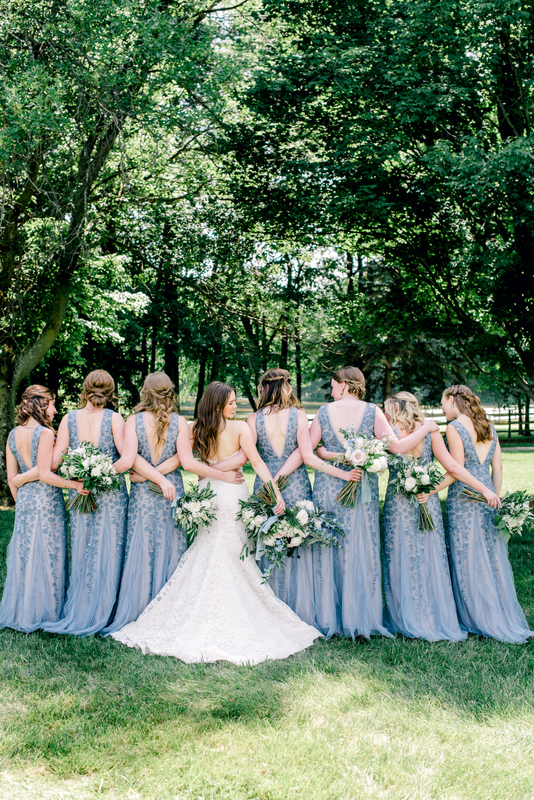 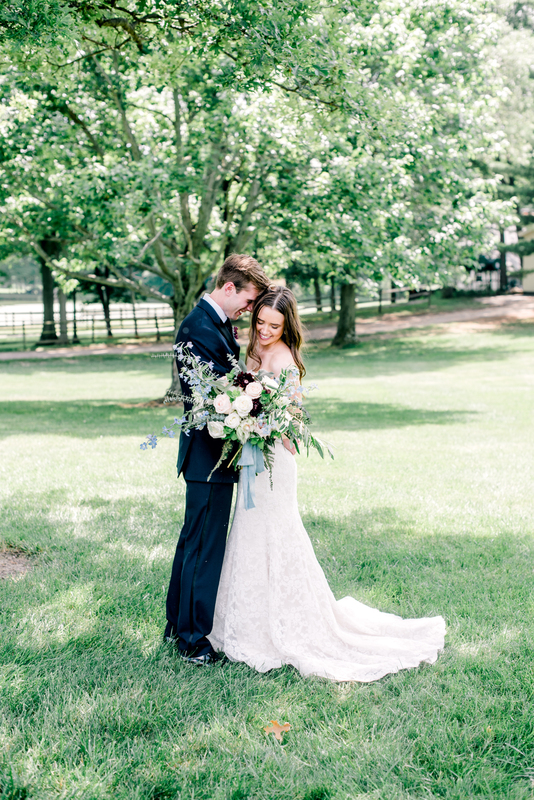 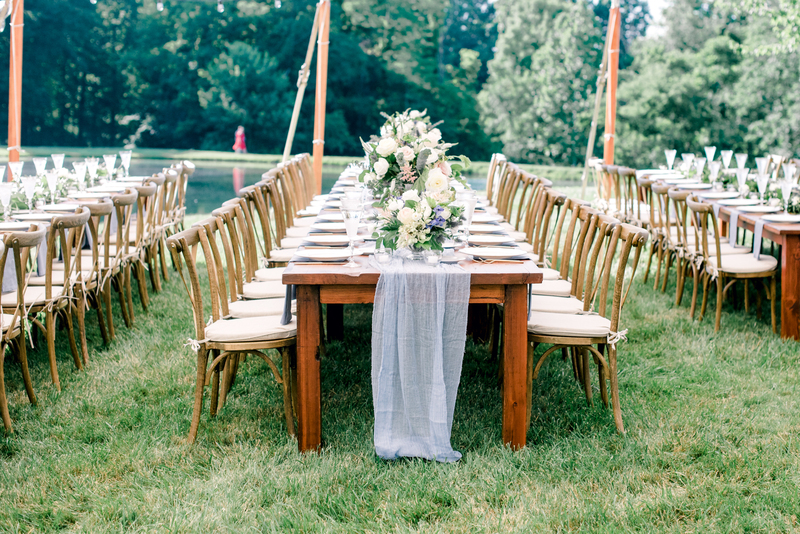 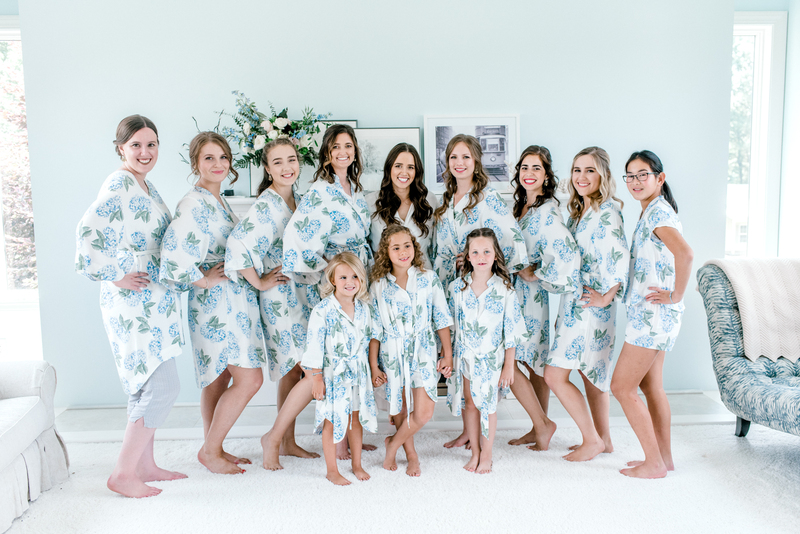 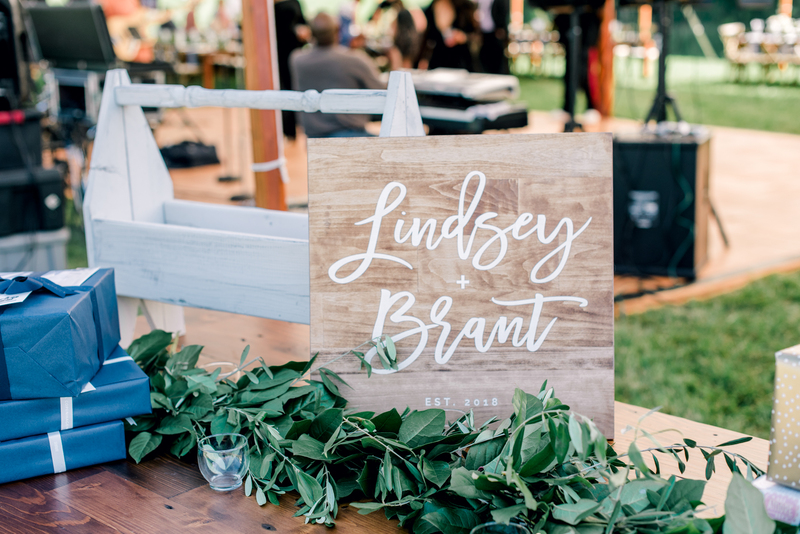 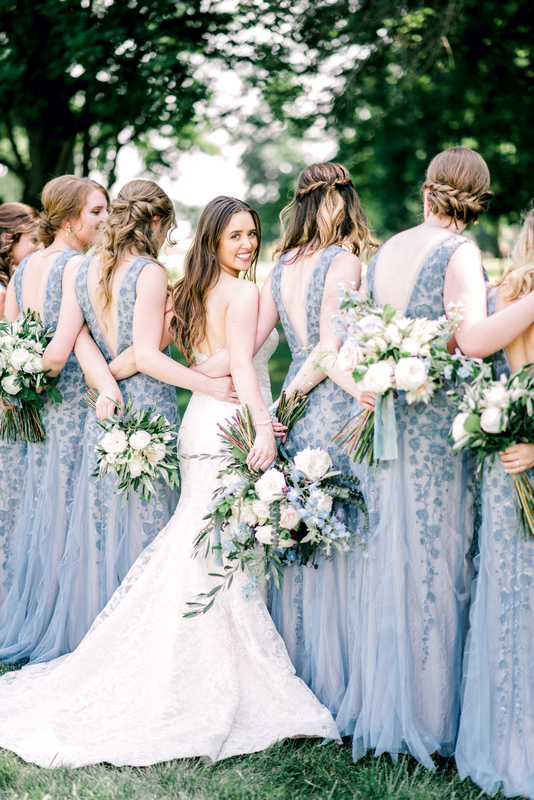 This summer backyard wedding in Oberlin, Ohio captured by Kristin Leanne Photography is perfection. 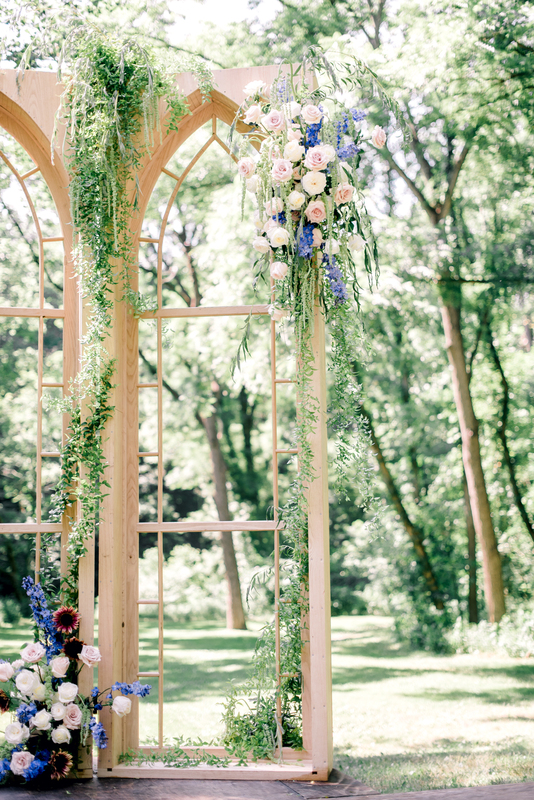 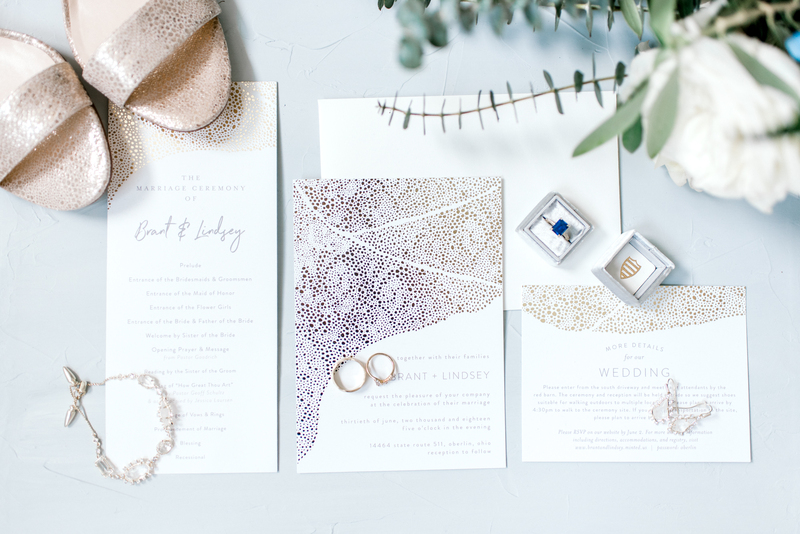 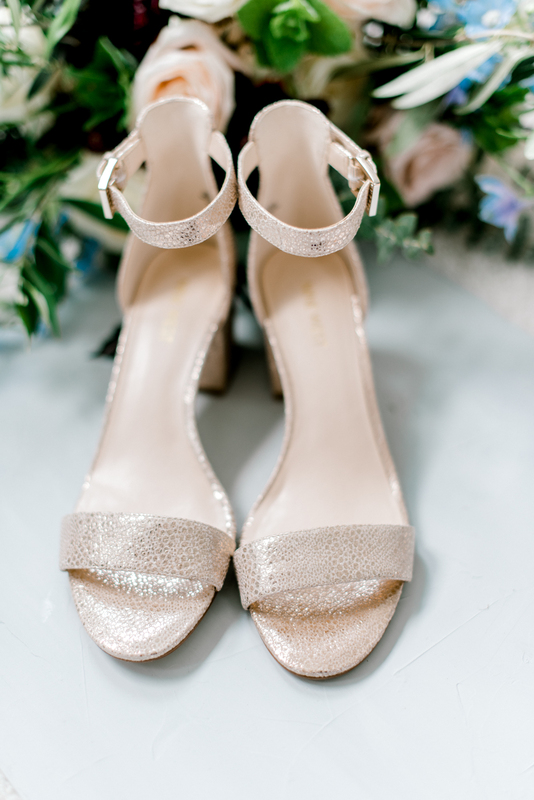 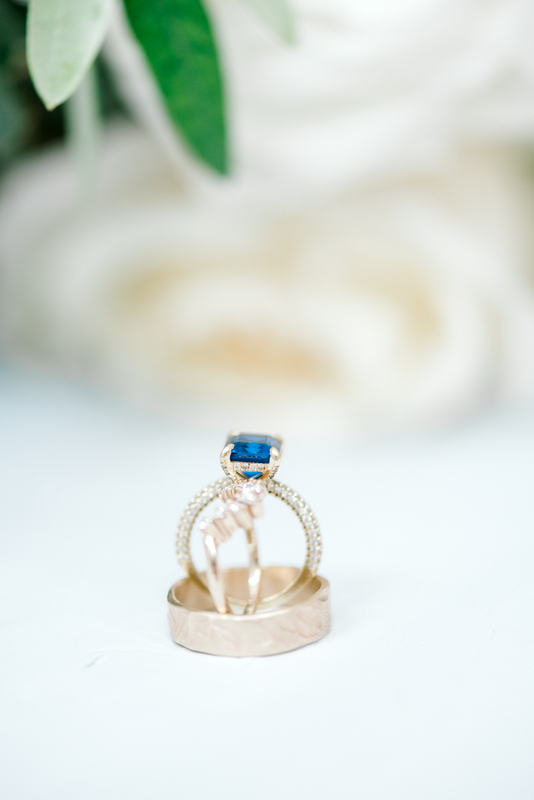 There are so many beautiful details, you'll want to scroll through the whole album. 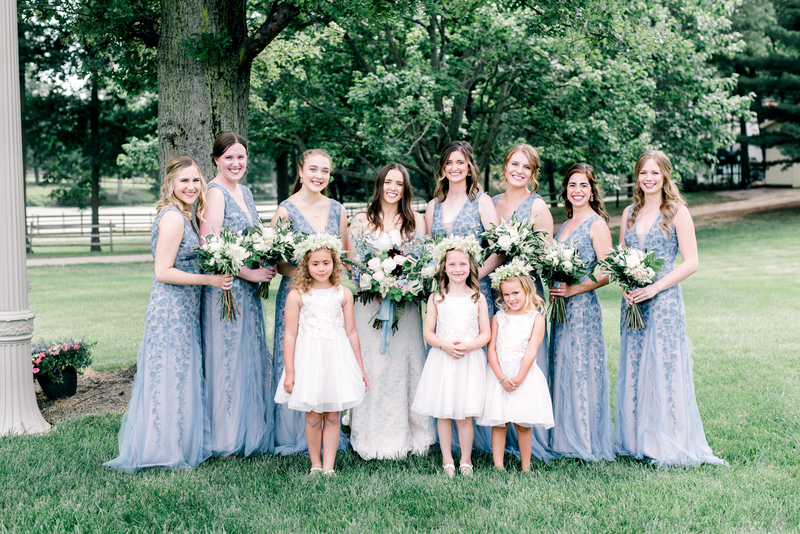 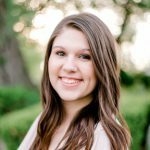 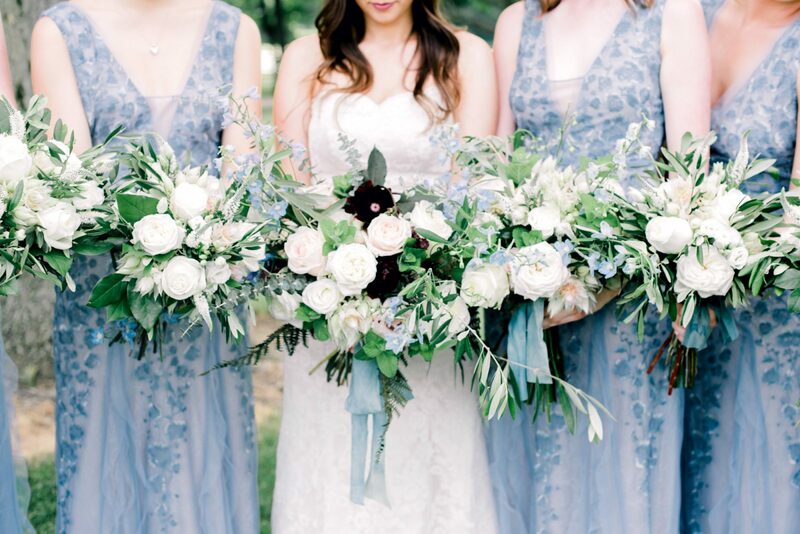 Some of our favorite details: the flower-draped ceremony backdrop made from wooden window panels, gorgeous silk wrapped bouquets that reflected the blue and cream color palette, flower-topped wooden farm tables under a sailcloth tent, and flower-crown adorned flower girls that almost stole the show. 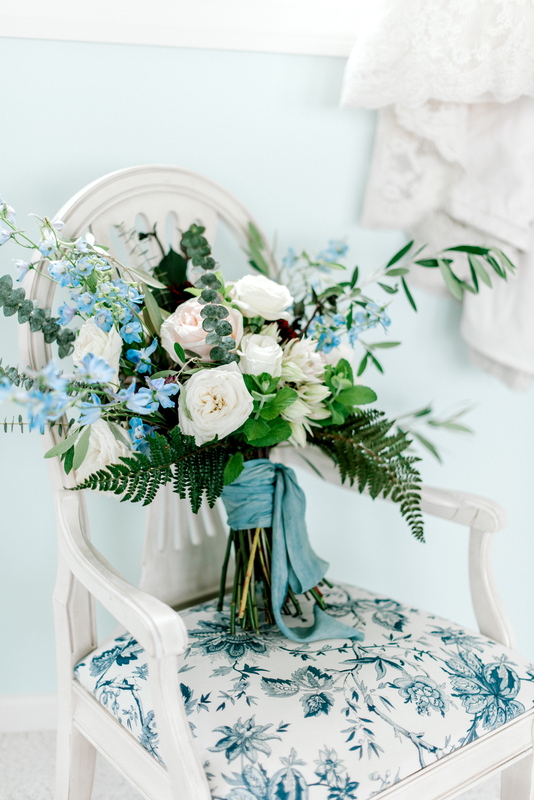 Basically, gorgeous flowers by Andrew Thomas Design in all the right places. 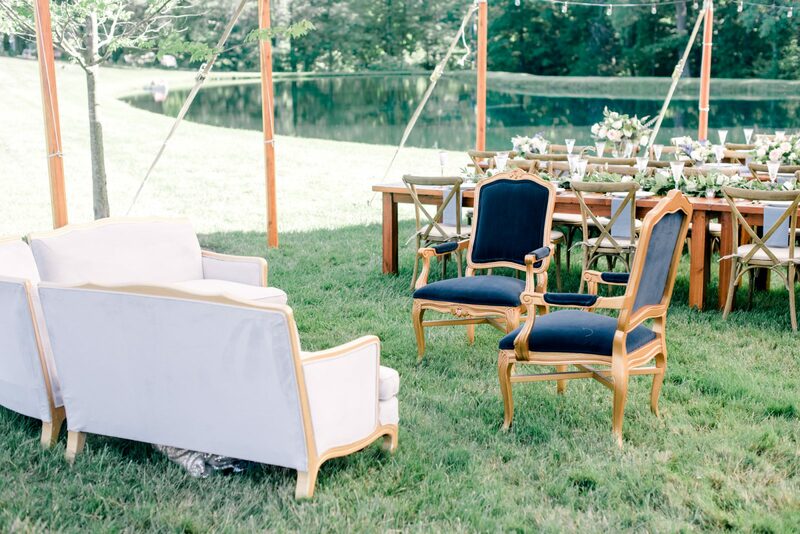 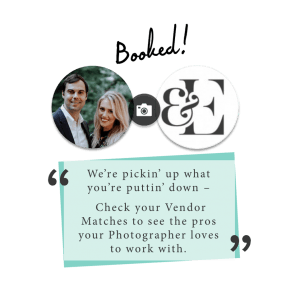 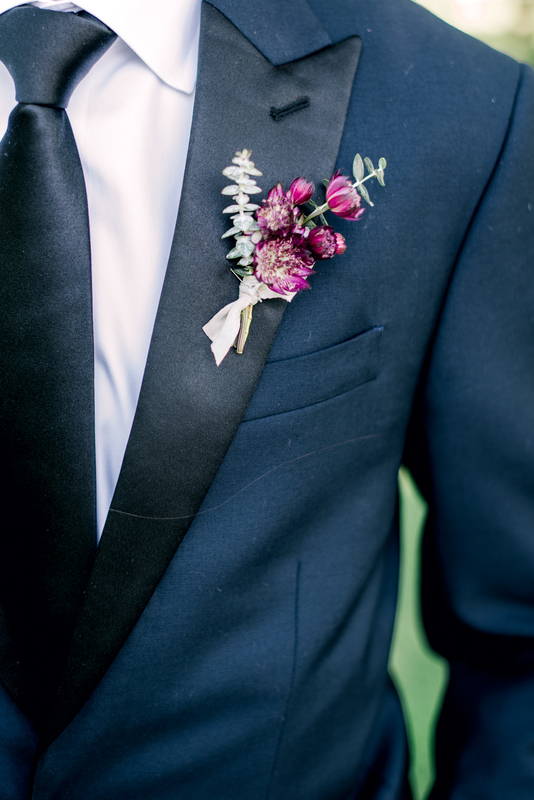 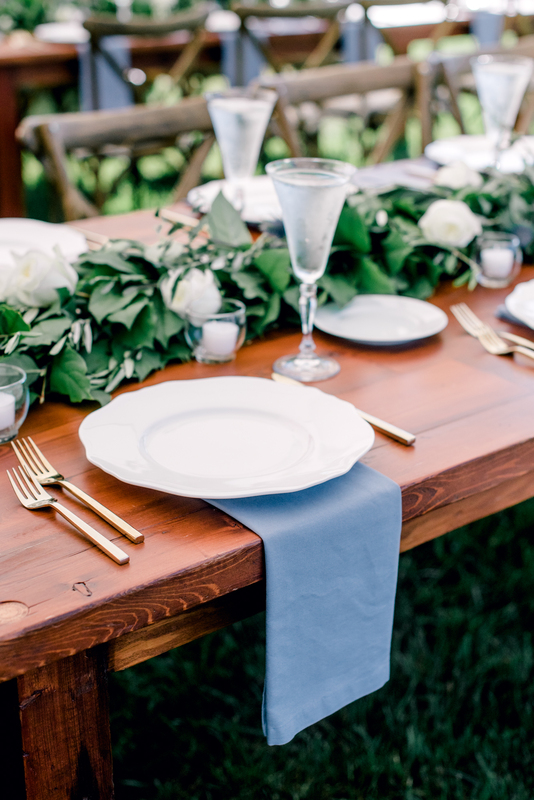 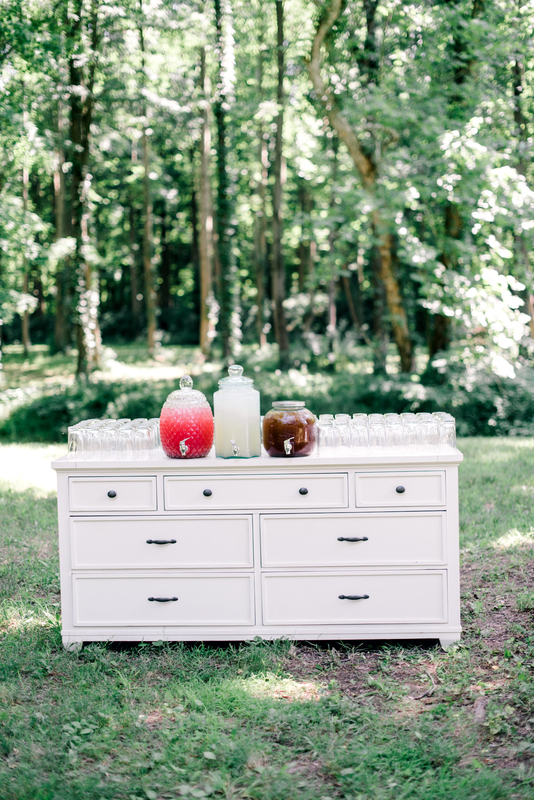 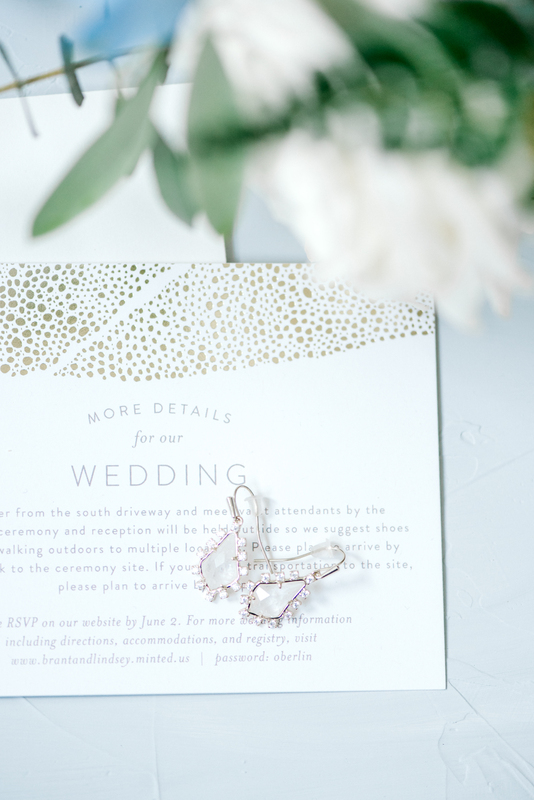 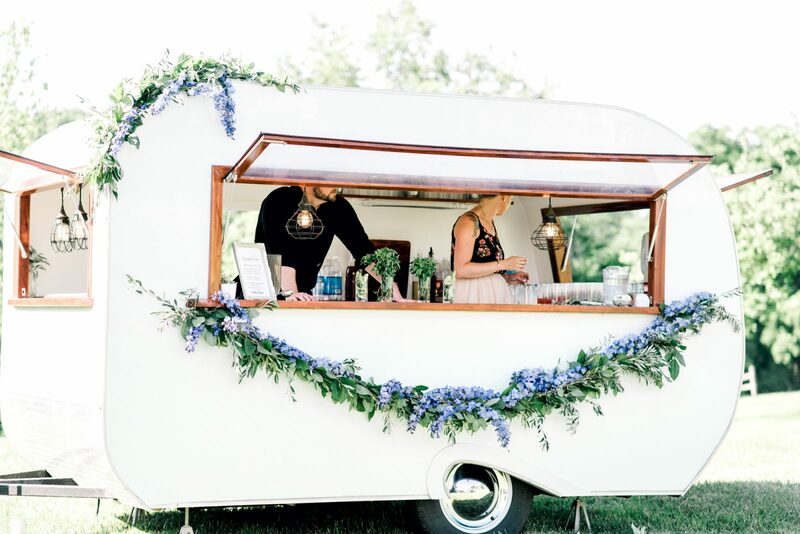 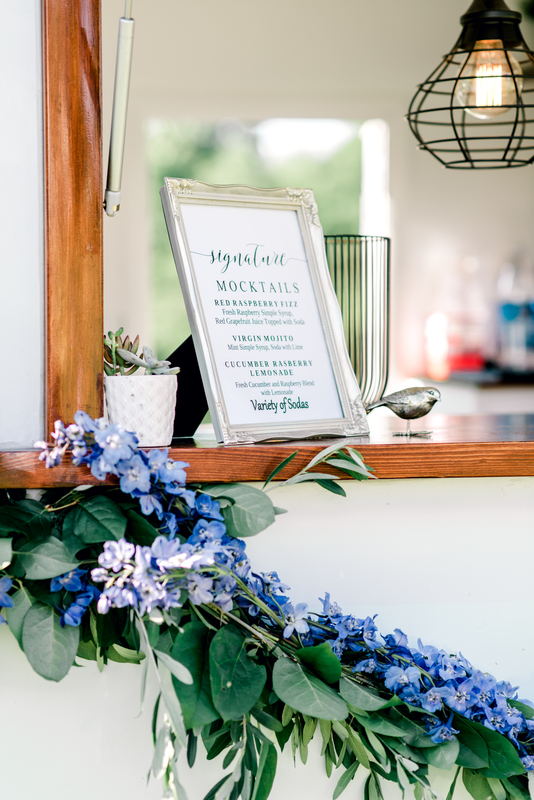 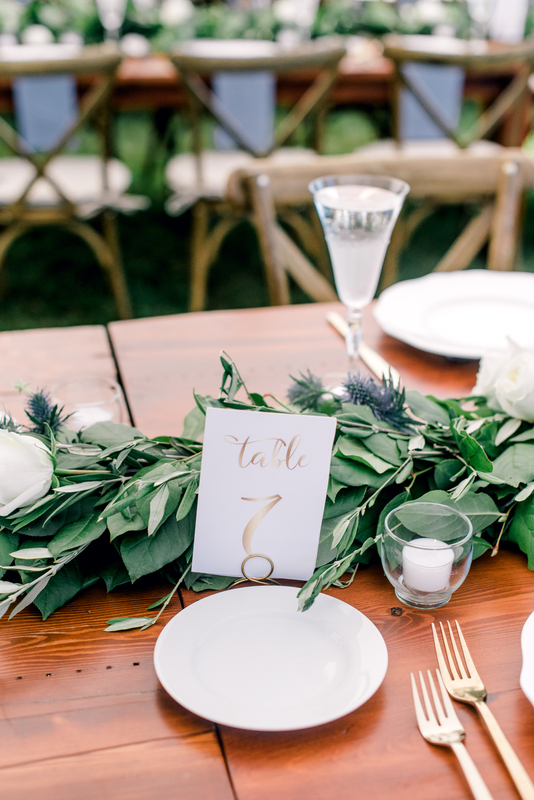 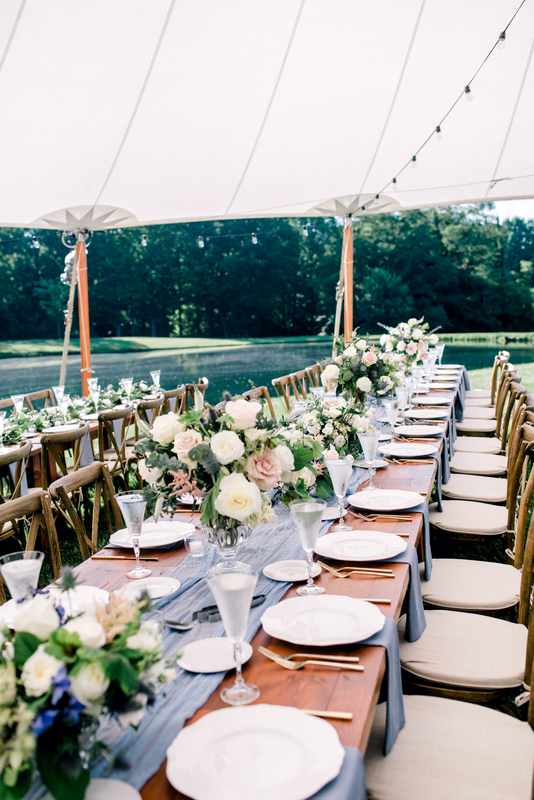 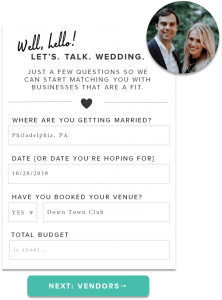 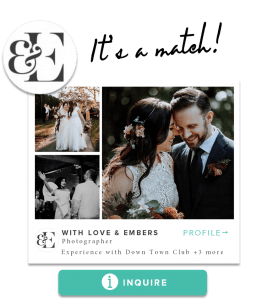 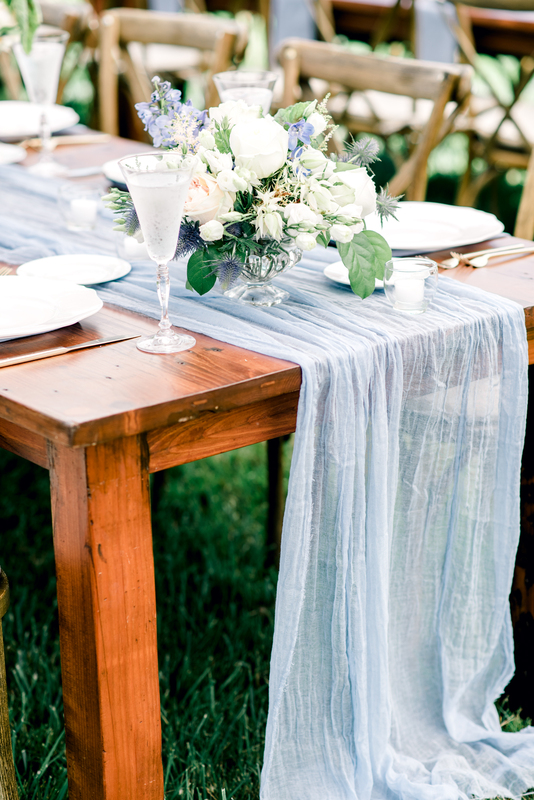 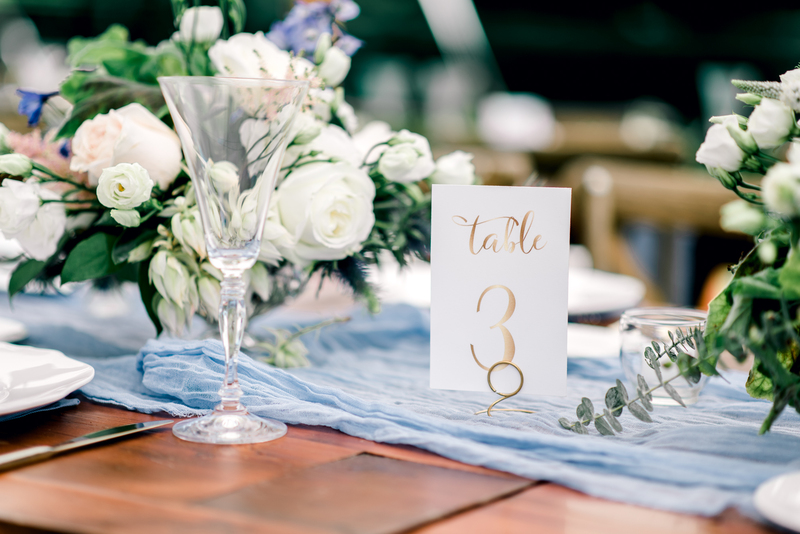 Every detail was carefully planned by A Charming Fete, and it shows.